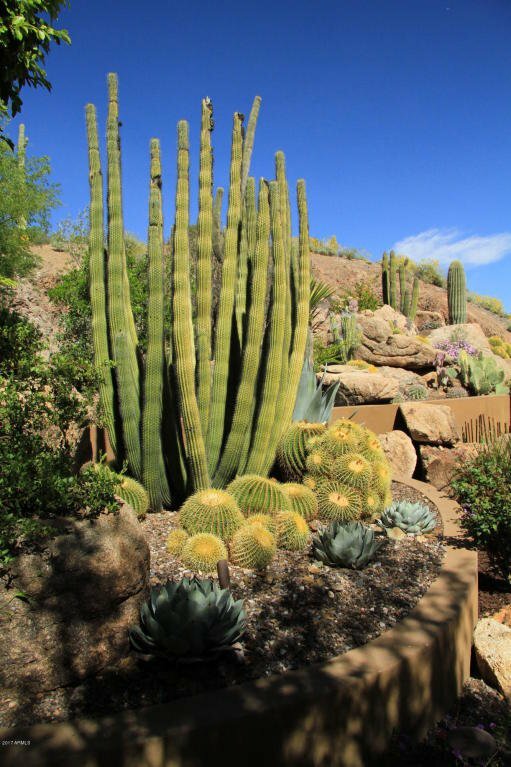 Looking for a relatively safe asset in which to invest? 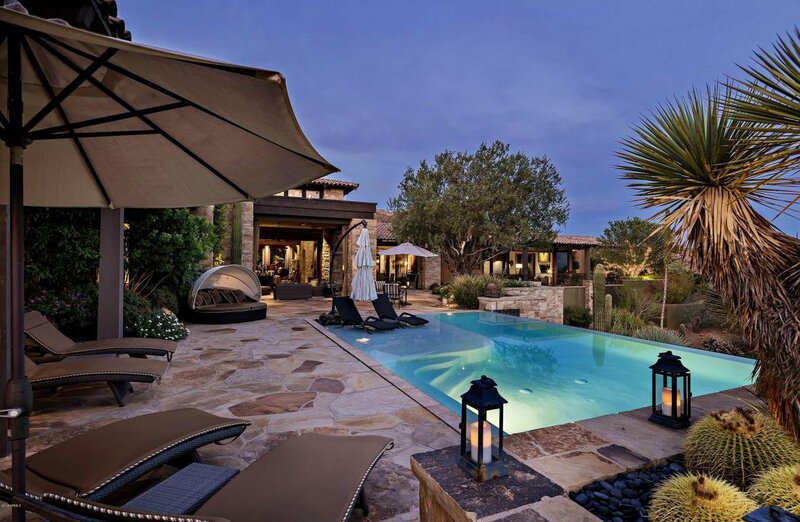 Something that you, your family, and friends can actually enjoy for the long-term while you own it? 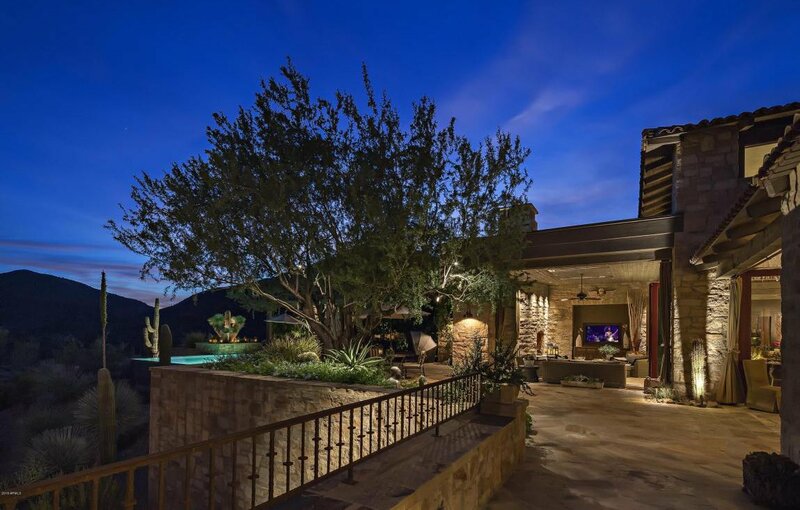 Consider ''legacy quality'' real estate that would be extremely difficult to replace, at any price, such as ''Stonehill'', easily one of Desert Mountain's premier homes. 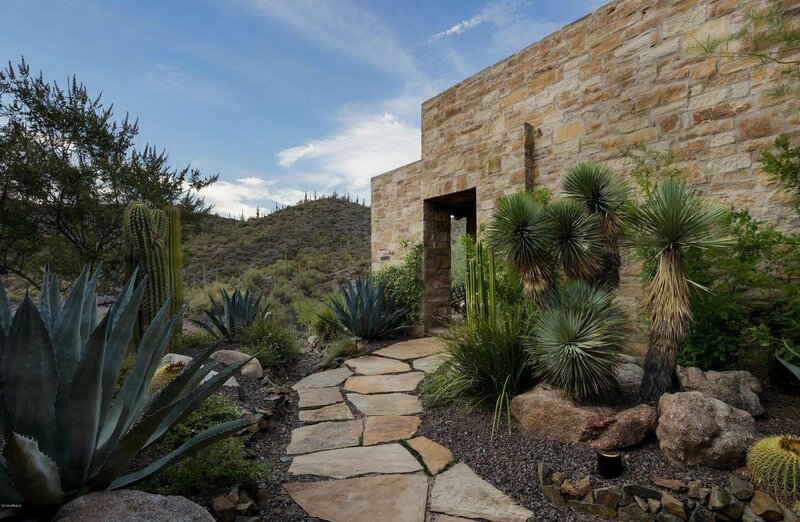 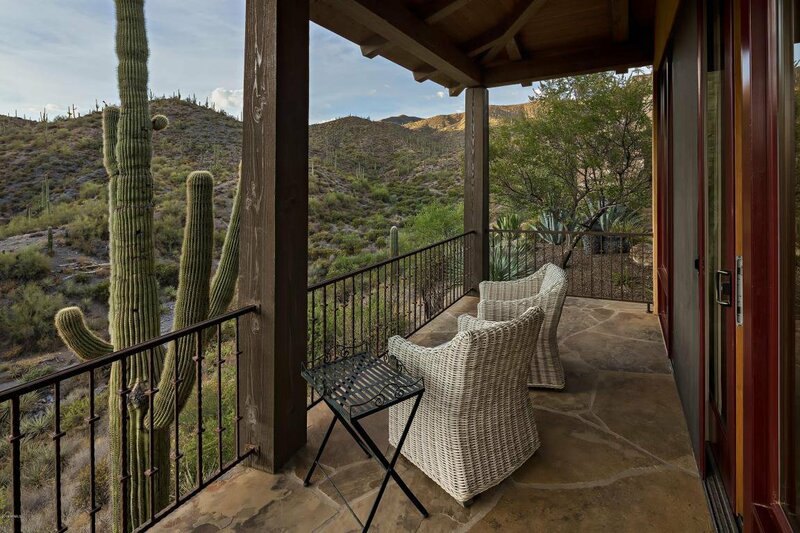 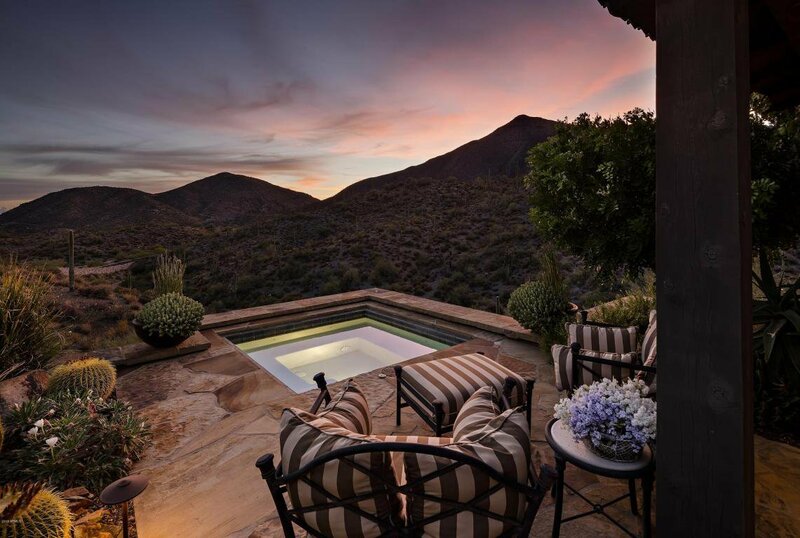 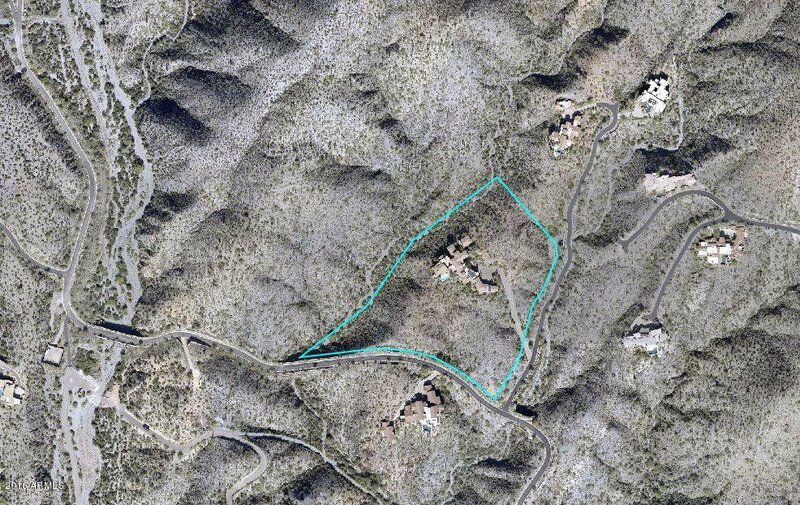 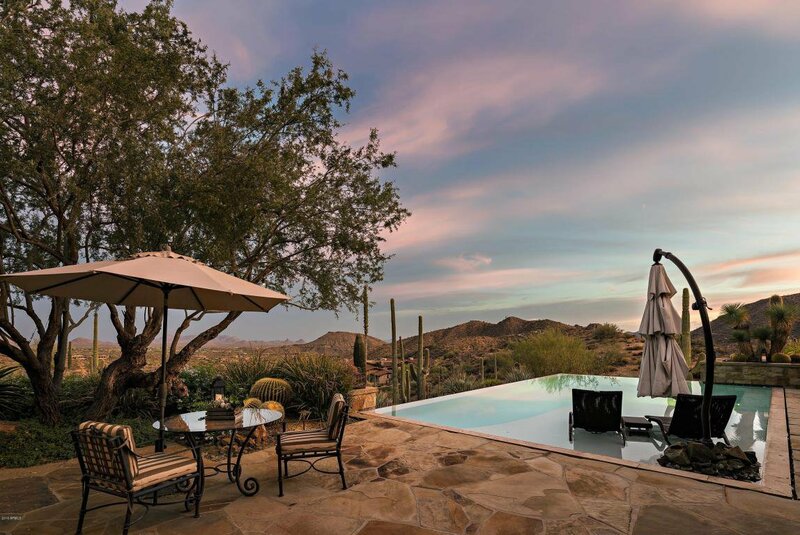 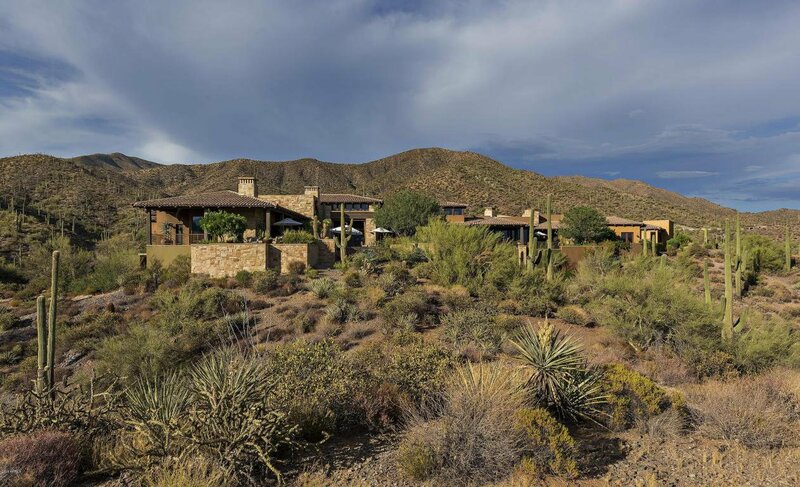 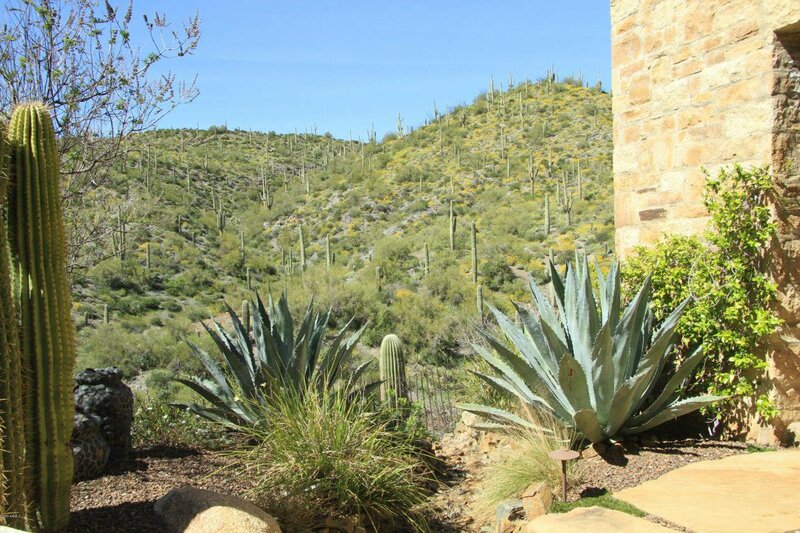 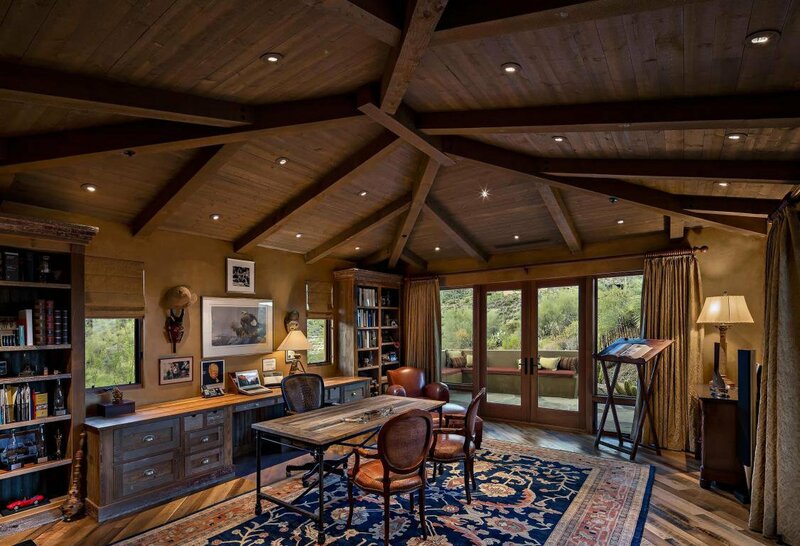 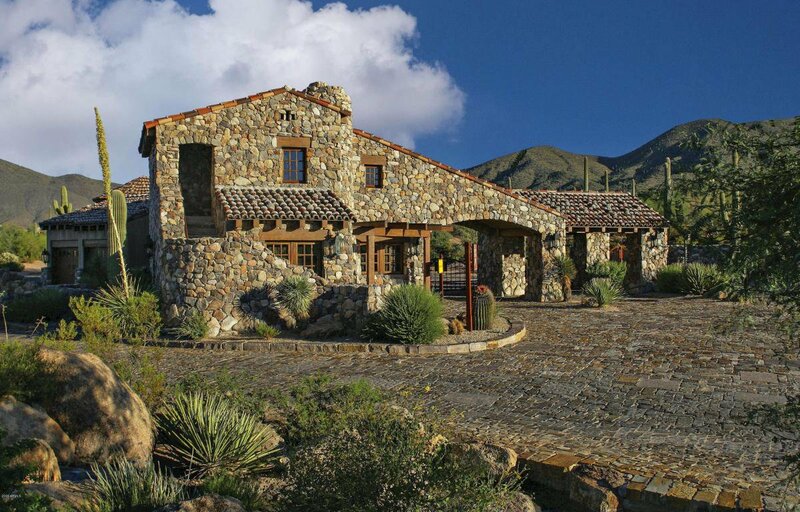 It sits on nearly ten pristine acres of High Sonoran Desert, adjacent to over 100 acres of permanent open space, creating a unique and irreplaceable High Sonoran Desert retreat. 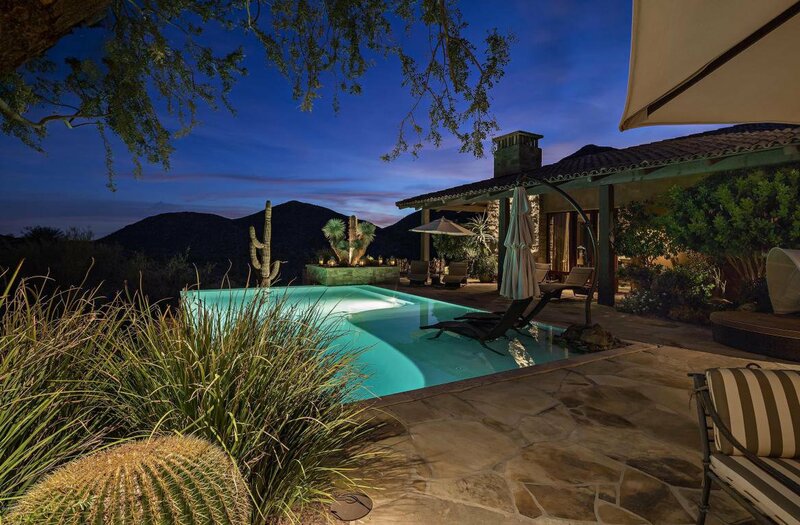 Light and bright interiors, well-proportioned rooms, exquisite materials and finishes, a southerly orientation, and panoramic views of the McDowell Mountains, Desert Mountain, and twinkling lights at night, make a captivating combination, perfect for world-class (See ''More'')... large- or small-scale entertaining. 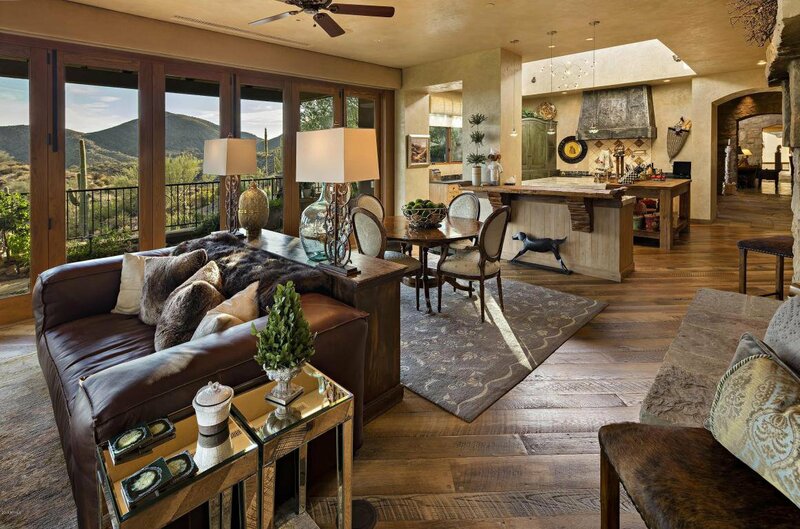 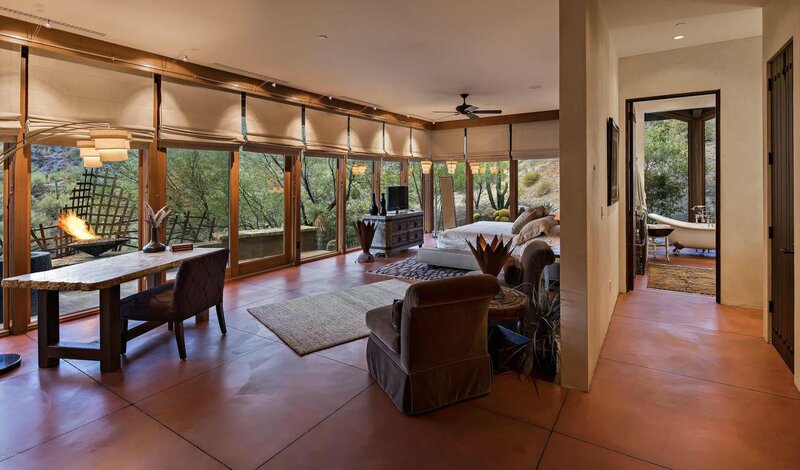 French and bi-fold doors open up to let soft desert breezes and guests flow easily throughout the home. 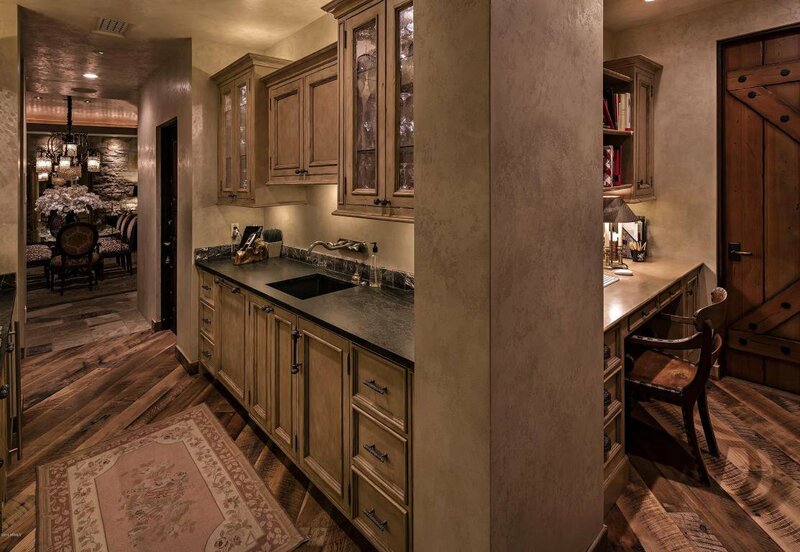 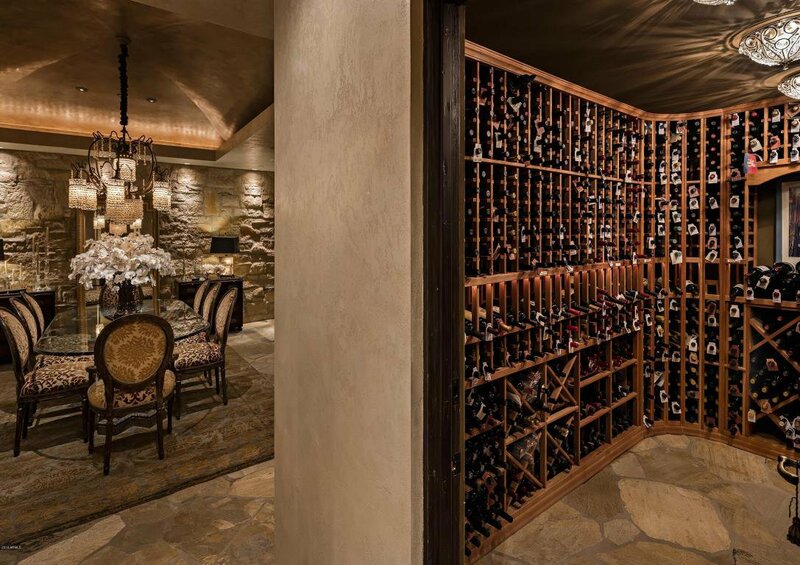 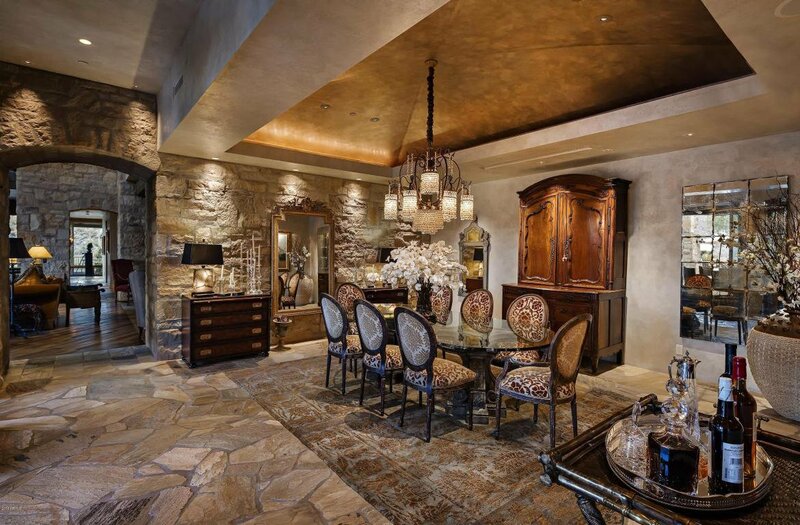 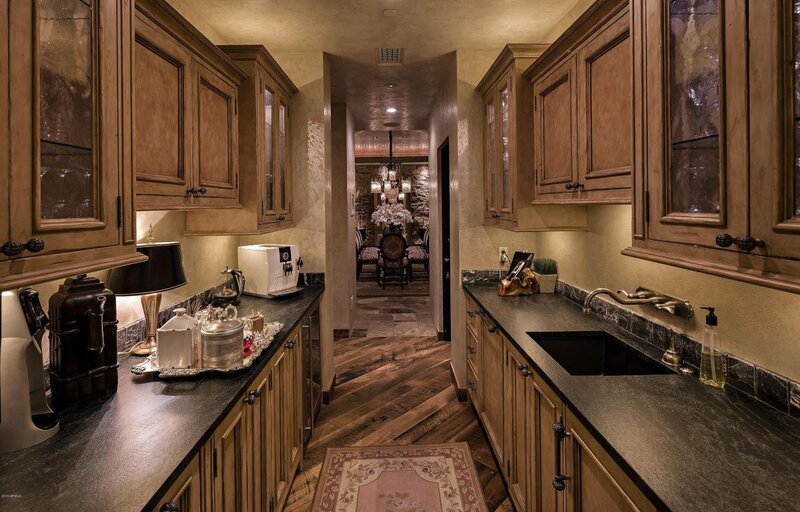 A 1,400 bottle wine room sits between a formal dining room and a great butler pantry. 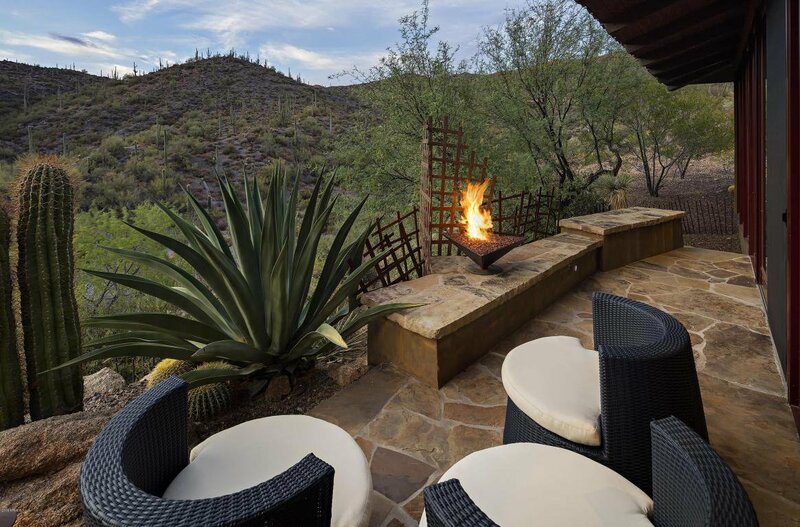 An outdoor dining room is opposite the inside dining room, next to a "perfect" covered outdoor living room (next to the elegant pool and a private spa, just outside the Master Suite), complete with a fireplace and large flat-screen television. 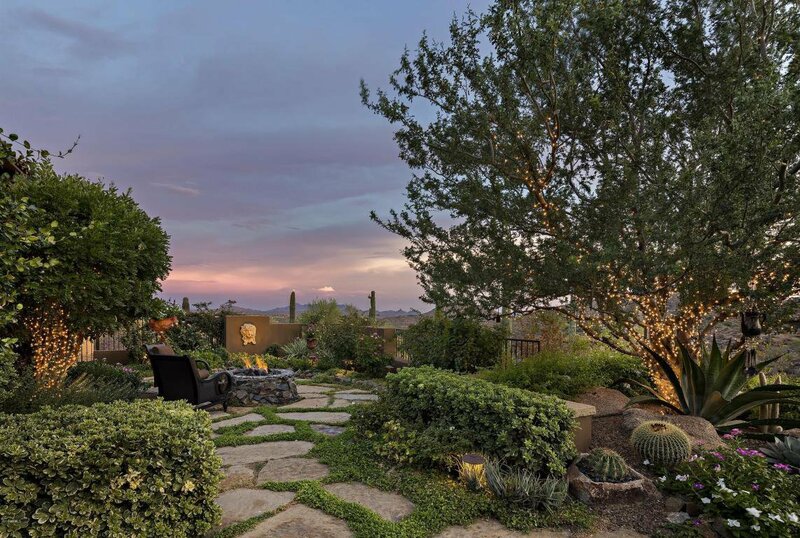 An herb garden is complemented by an English Rose Garden with a firepit, the perfect place to enjoy a quiet chat, a glass of wine, or possibly a special cigar. 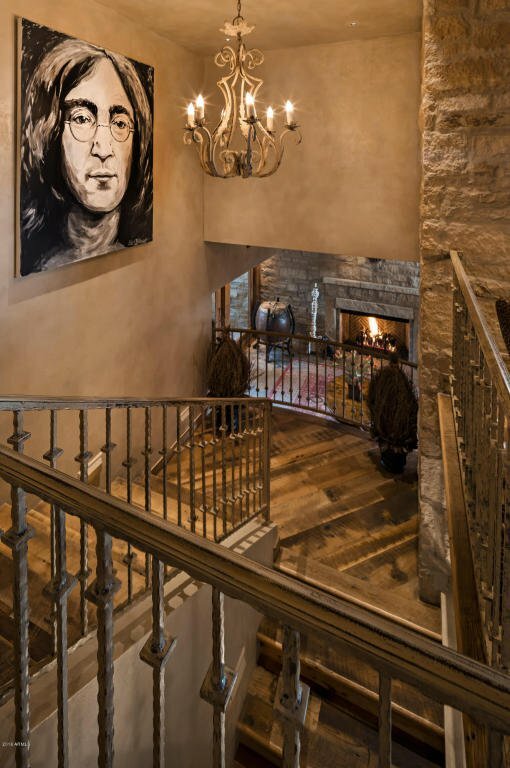 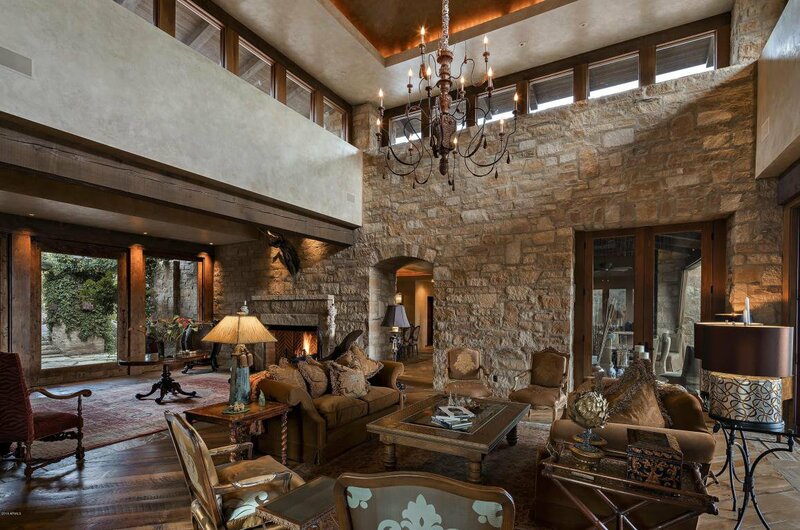 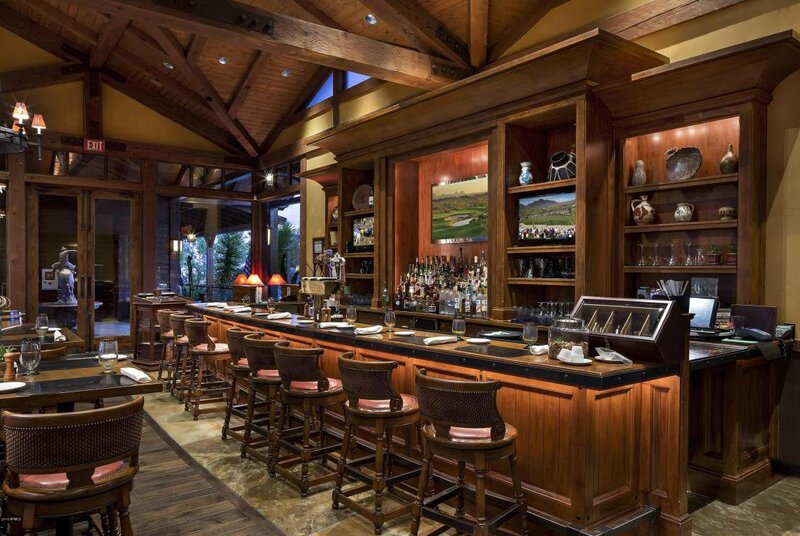 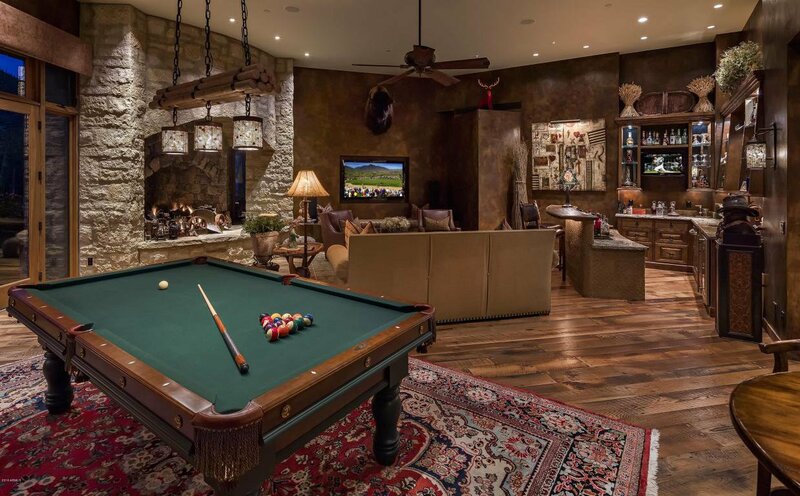 A large media room, lovingly referred to as the "Bad Boys Room", features plenty of space for a pool table and includes two televisions, a massive limestone fireplace with hearth and custom iron work. 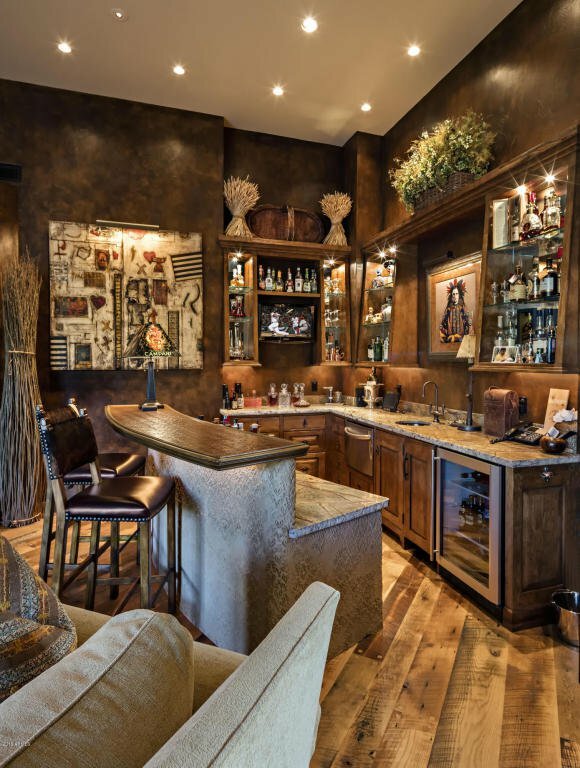 A copper-topped, custom finish wet bar with room for four pull-up bar stools is a welcomed evening retreat for you and your guests. 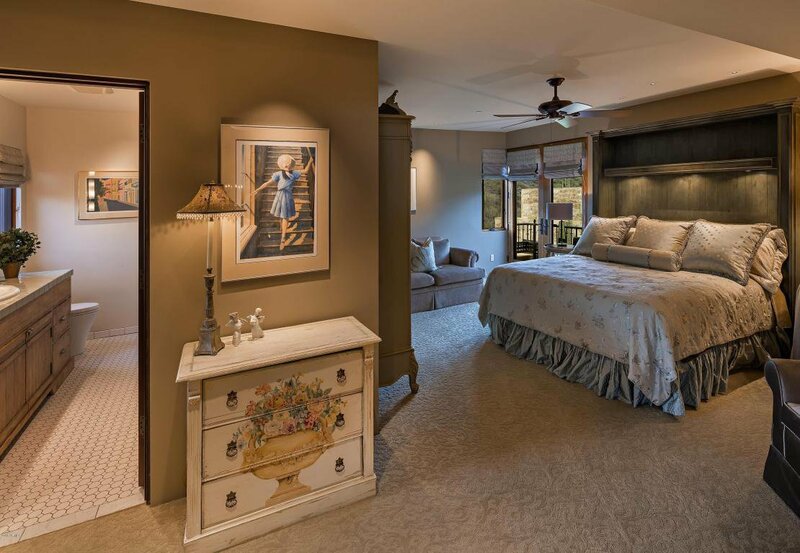 Family and friends will enjoy their stay in any one of the six en suite bedrooms that includes an 822 sq. 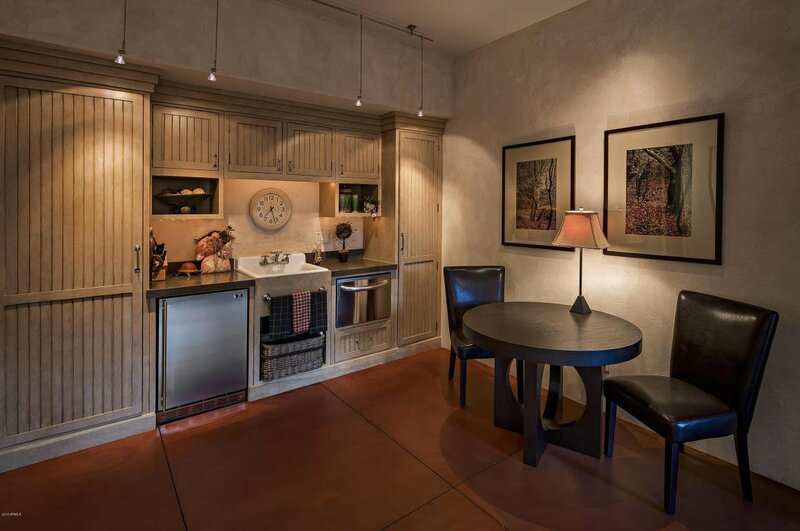 ft. private guest house with kitchen and patio. 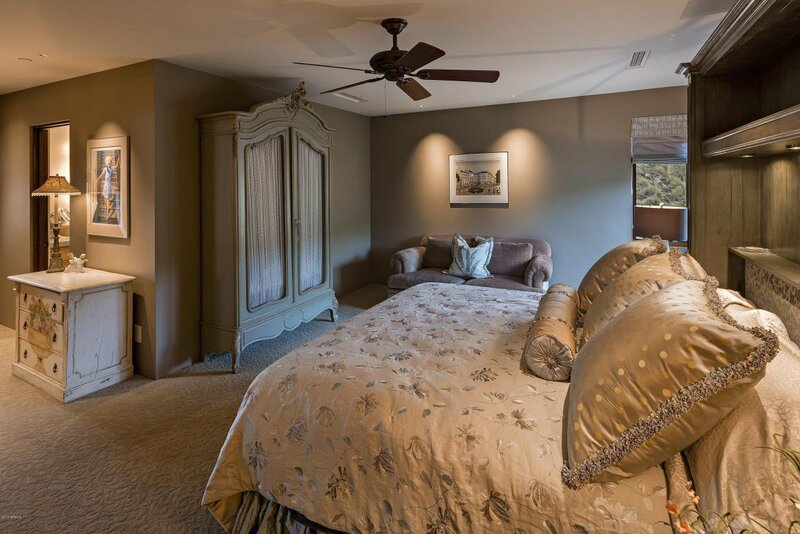 The large Master Suite is simply perfect with a sitting area and bejeweled fireplace, Venetian plaster walls and ceiling treatment along with a private door to the spa and pool area. 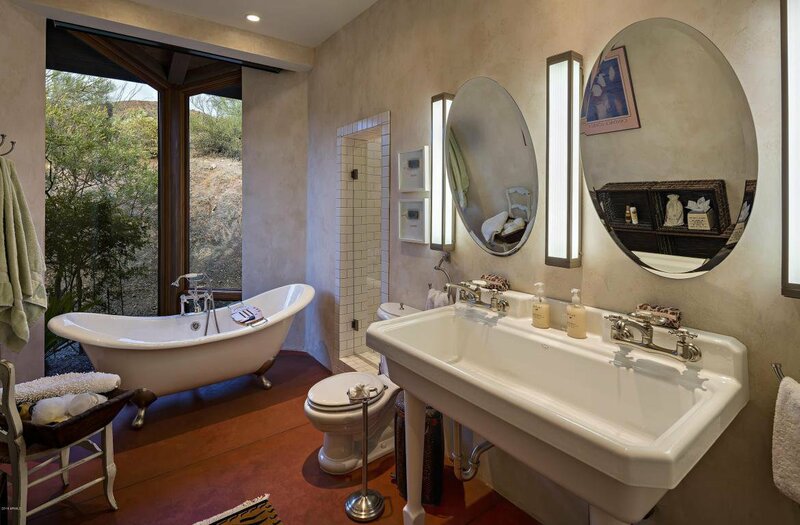 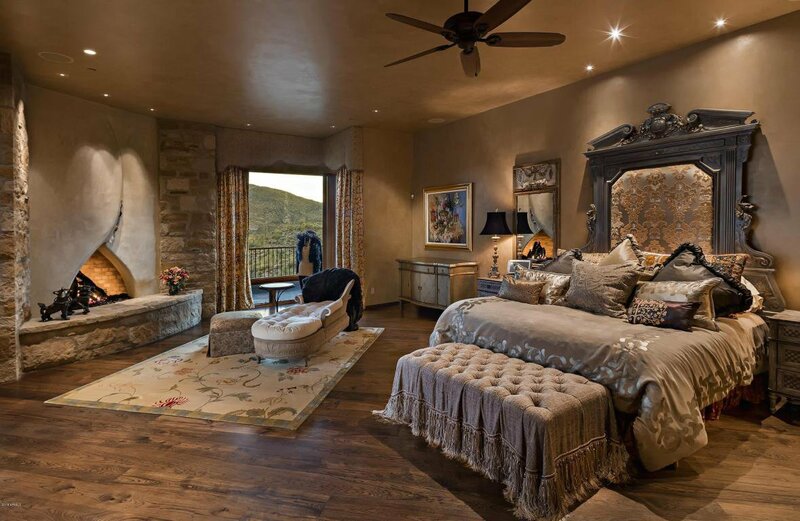 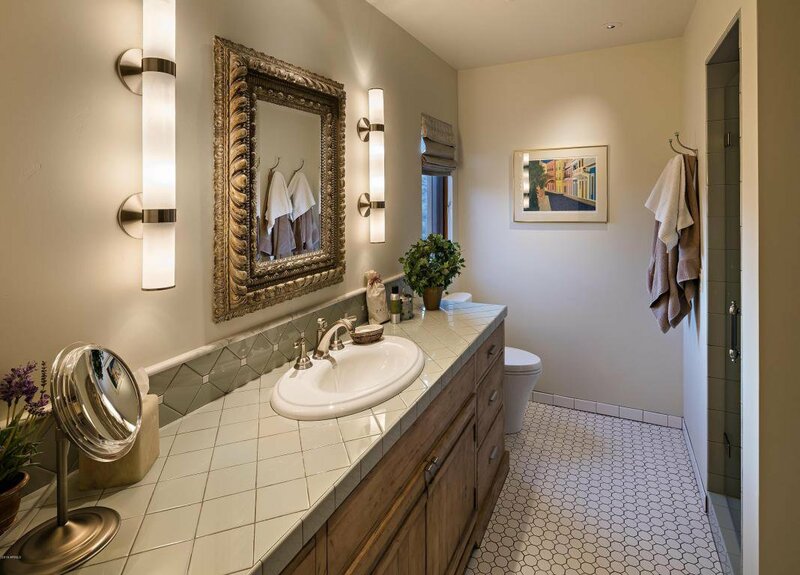 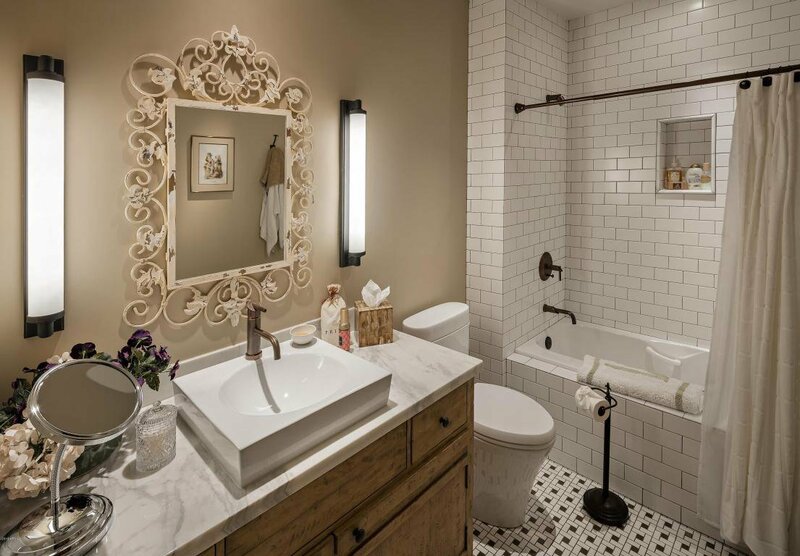 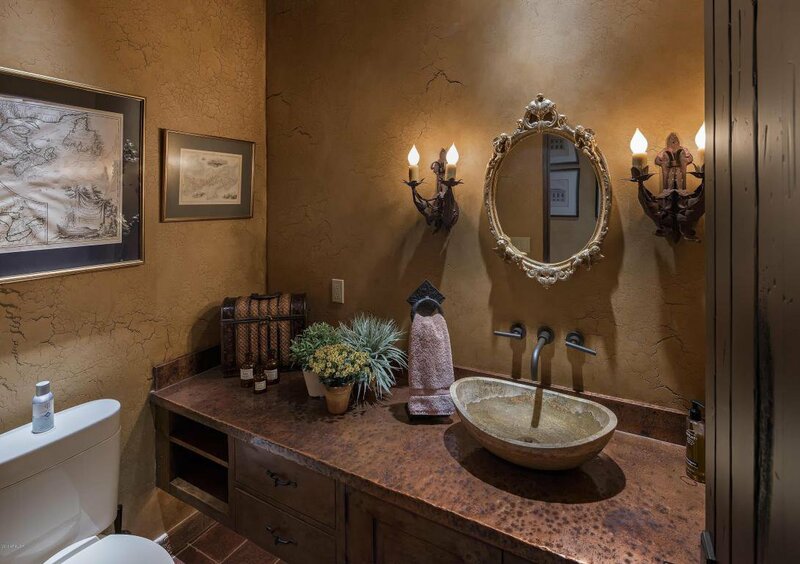 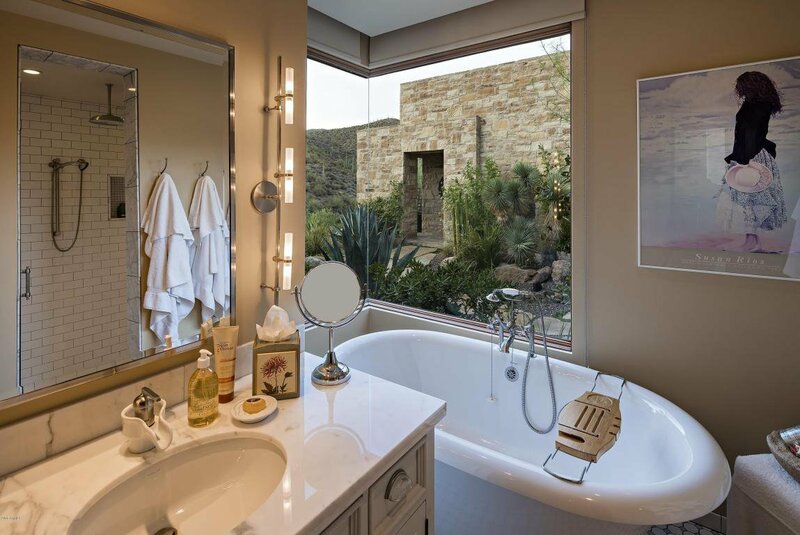 His and Her closets, a steam shower, separate toilet rooms and a stand-alone tub surrounded by private, gorgeous views of the Continental Mountains make a luxurious statement. 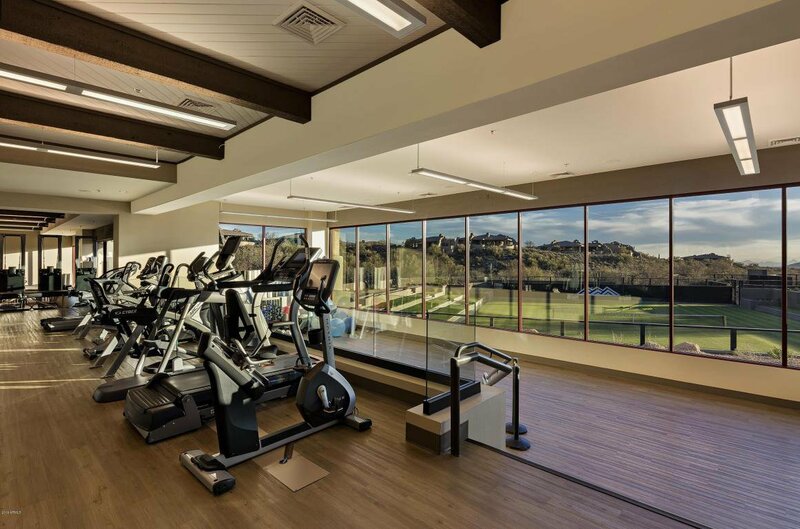 Work out in the spacious exercise room with a sauna. 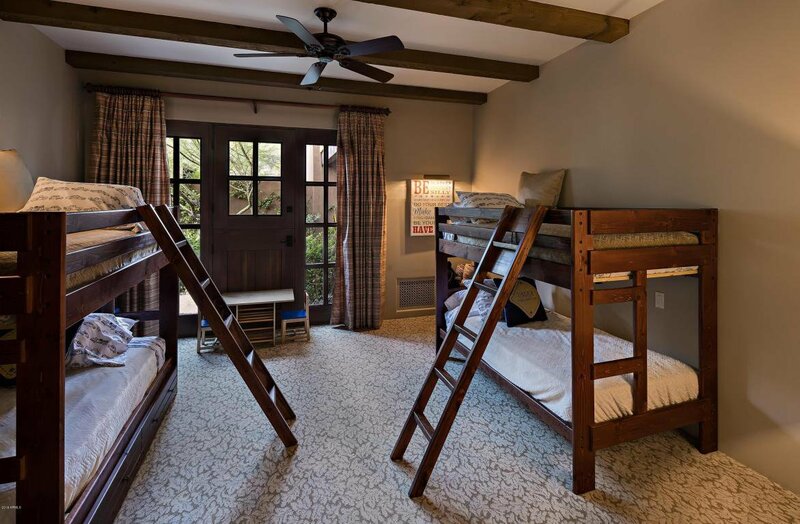 There are no steps on the lower level. 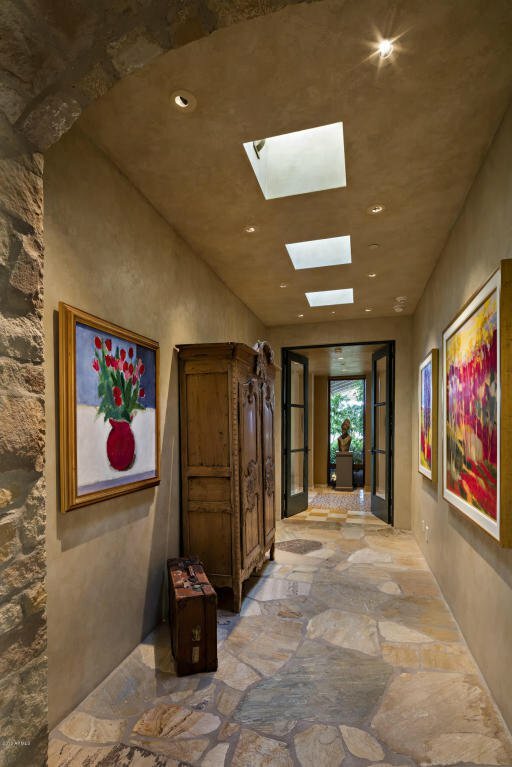 Furniture and some art is negotiable separately (and will be sold via a separate Bill of Sale). 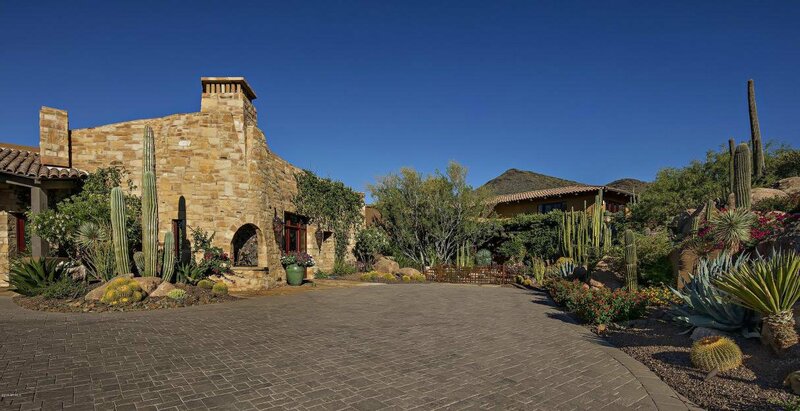 A 130 yard-long driveway rises to a spacious auto courtyard of approximately 3,600 square feet that is covered with Yorkstone premium pavers and gives way to a four-door garage with extensive storage which can easily hold up to six cars. 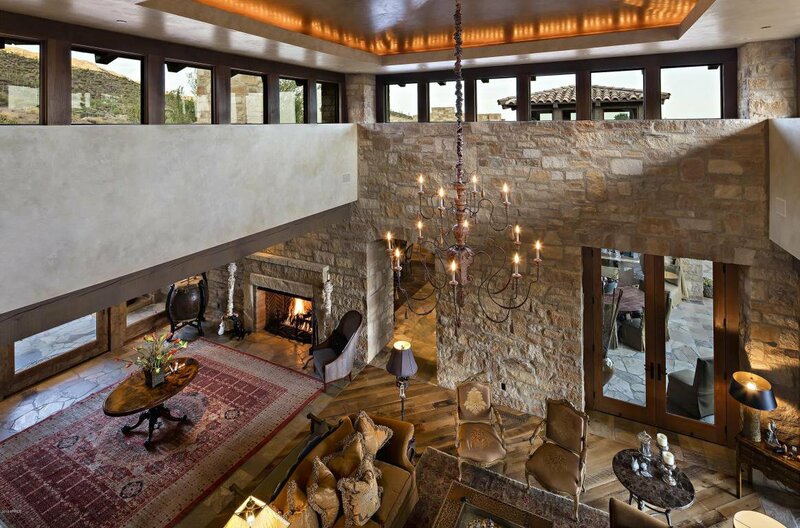 12' ceilings open up the possibility for a couple of lifts, increasing the capacity to eight cars. 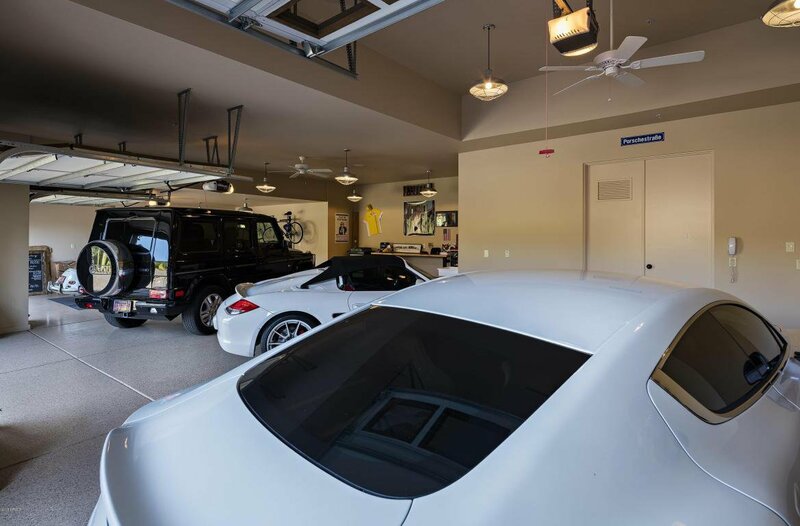 Another three or four-car garage can be added. 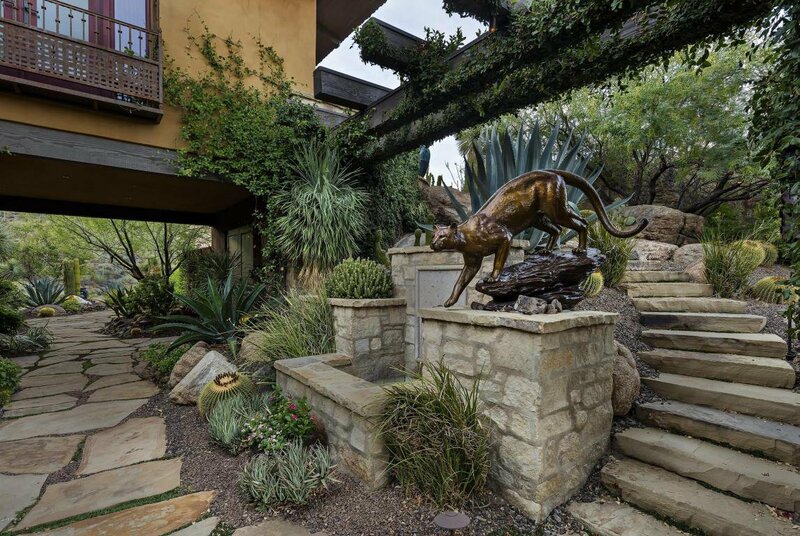 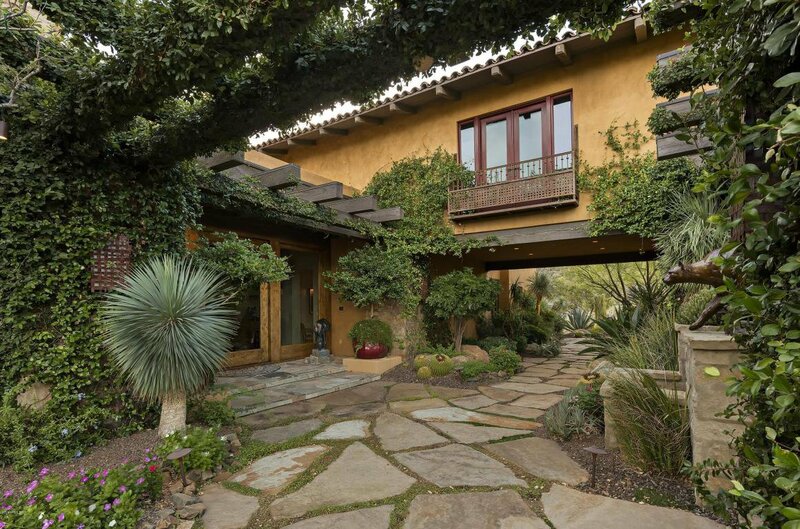 A gated front courtyard, with outstanding custom desert gardens, an ivy covered pergola, office access via a stone staircase, a large stone water feature at the front door entrance, and a life-size statue of a prowling mountain lion opposite the front entrance to the house, all make for a grand welcome for you and your guests. 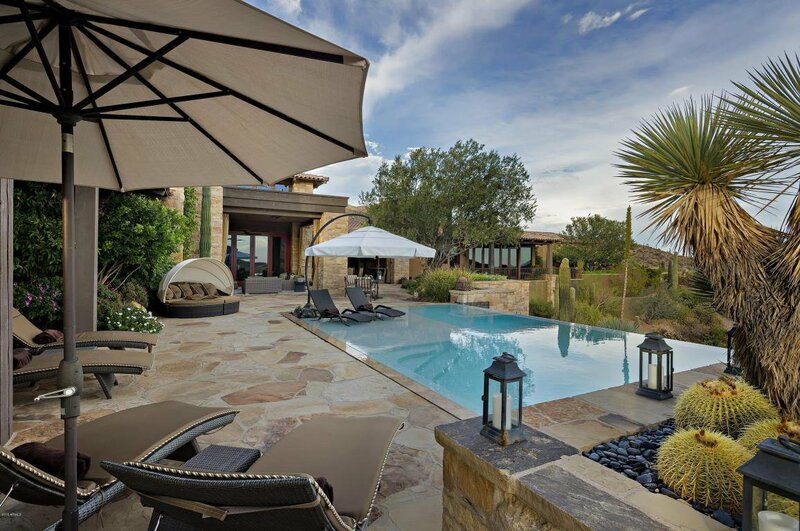 Multiple outdoor seating areas surround the property, taking advantage of the incredible views and privacy from nearly every angle of the home. 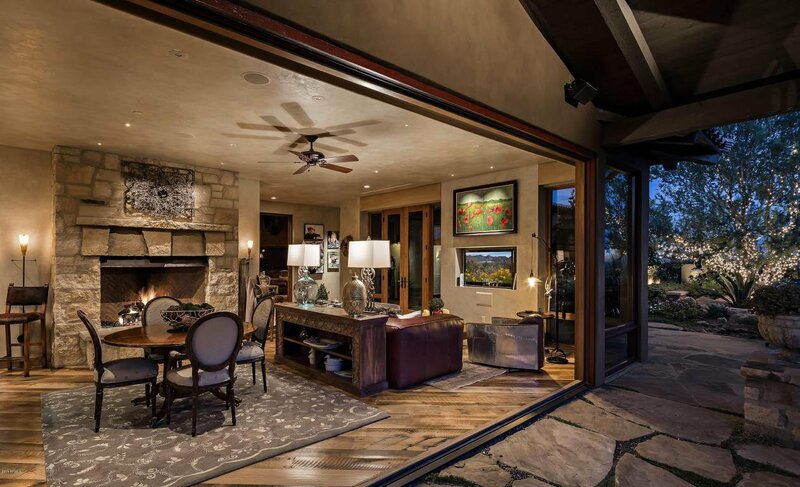 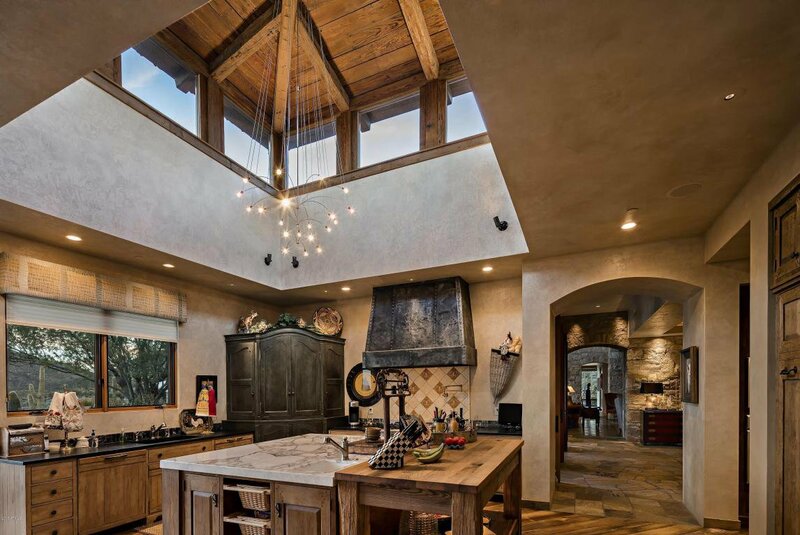 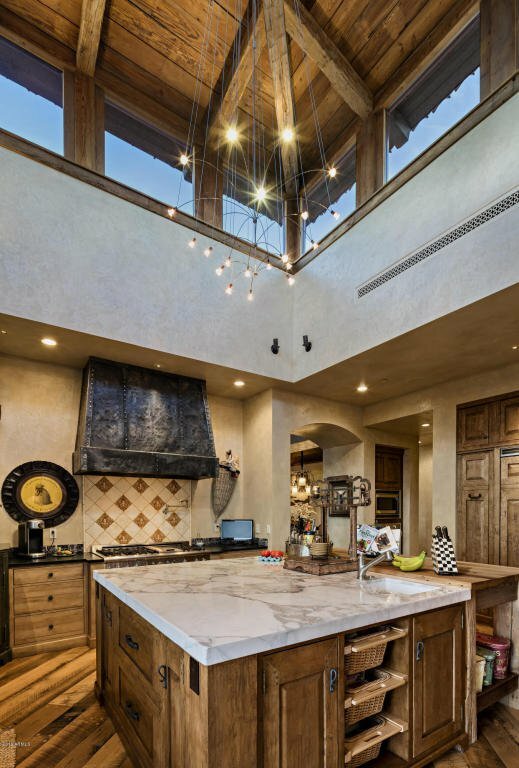 Finishes and lighting for both indoor and outdoor spaces are simply exquisite, as one would expect in a property of this caliber. 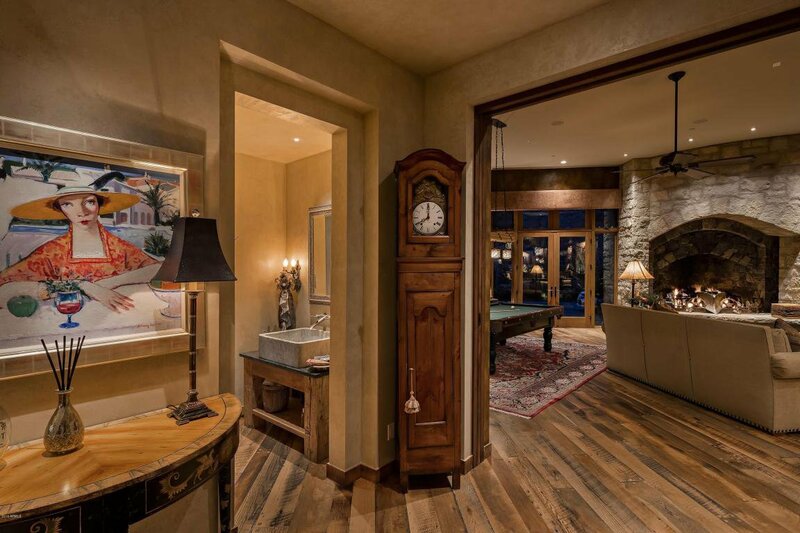 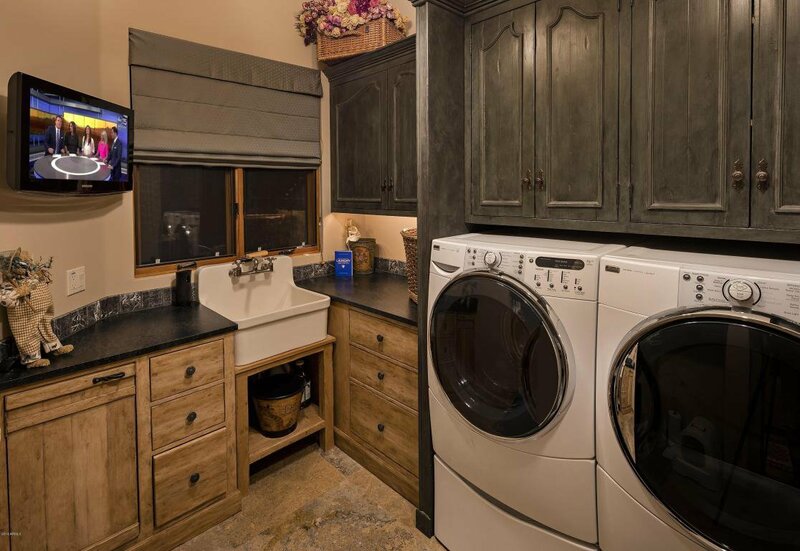 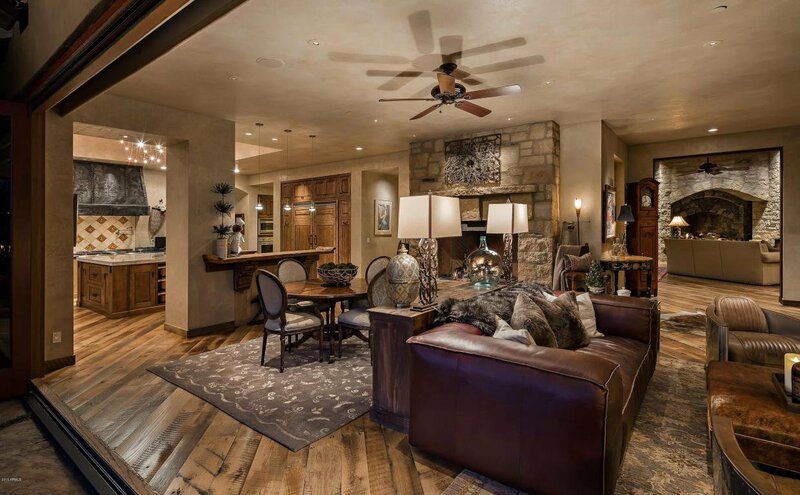 The home has a complete automation system making all controls incredibly easy. 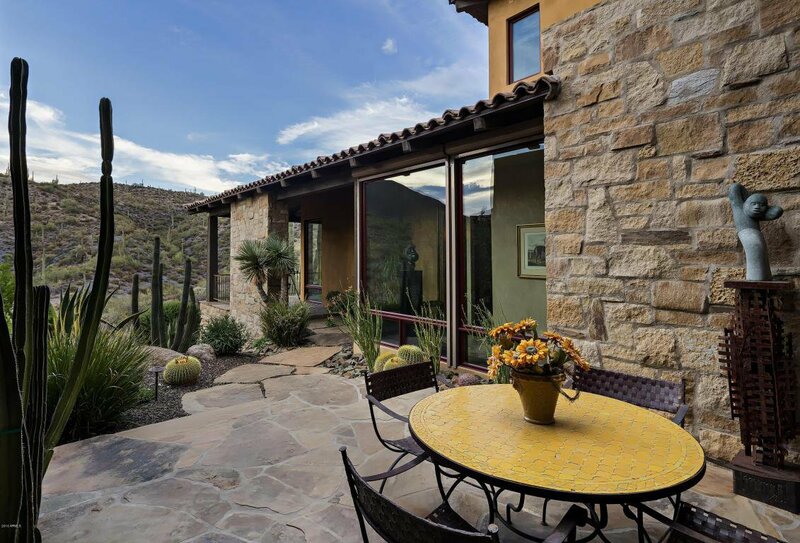 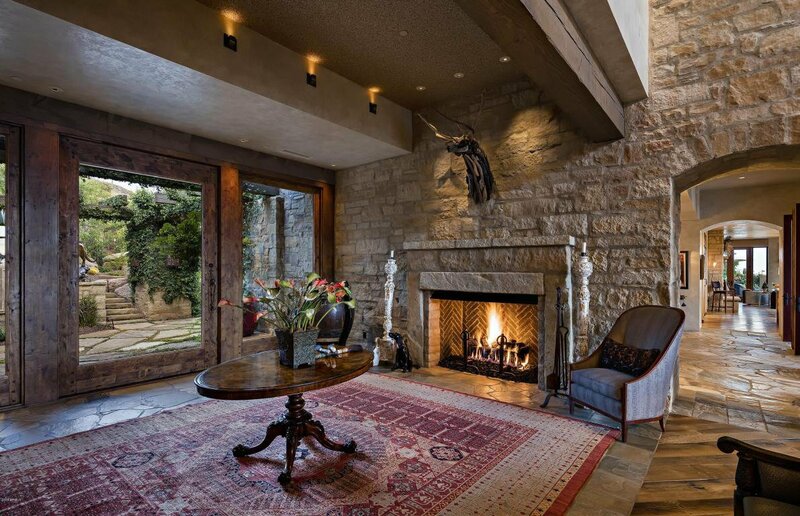 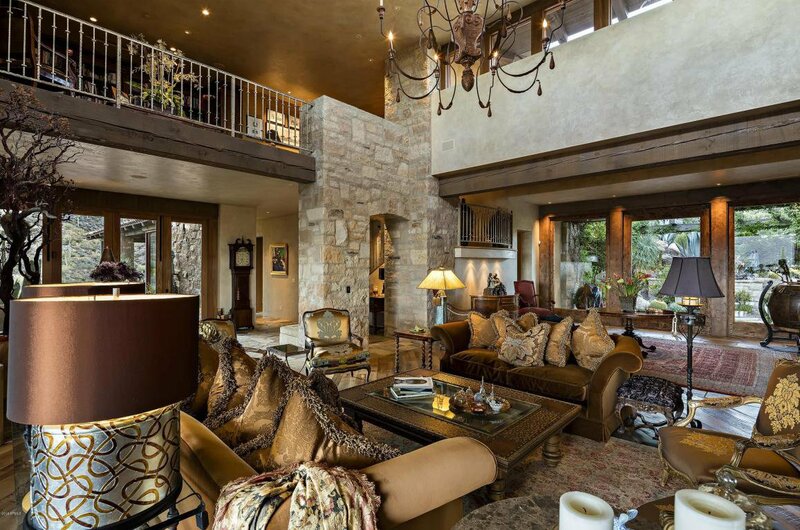 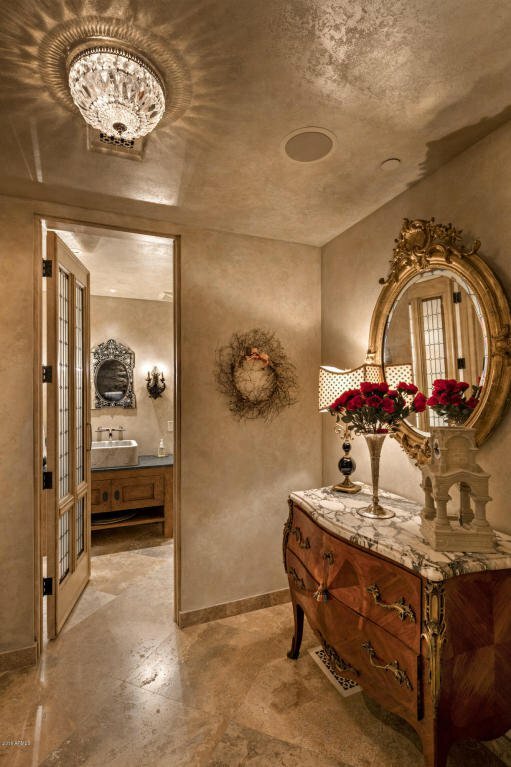 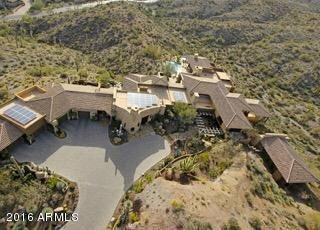 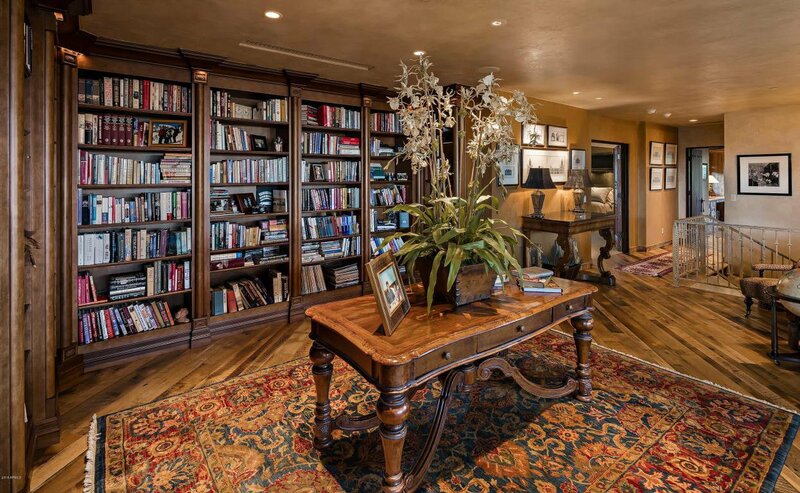 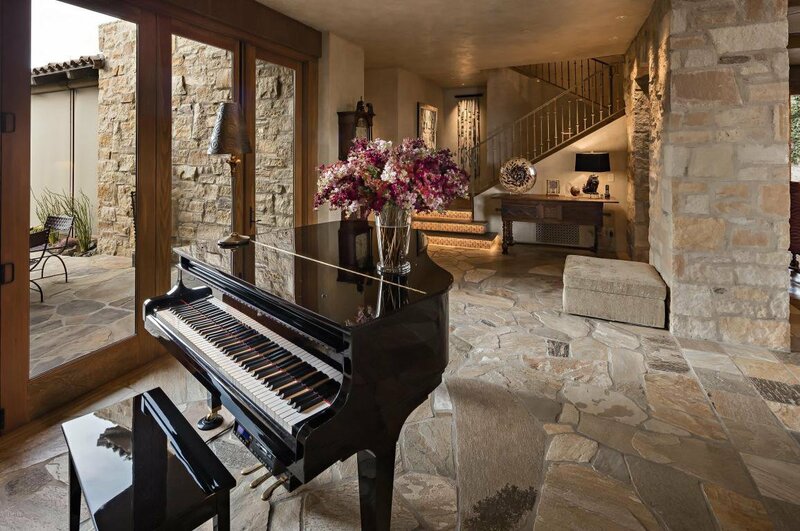 This home is simply a masterpiece, in every respect, set in the incomparable, 8,250 acre, gated community of Desert Mountain. 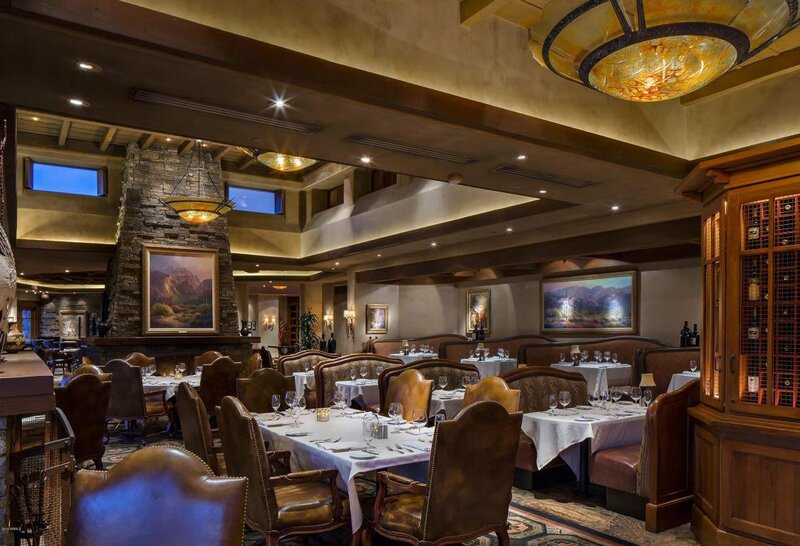 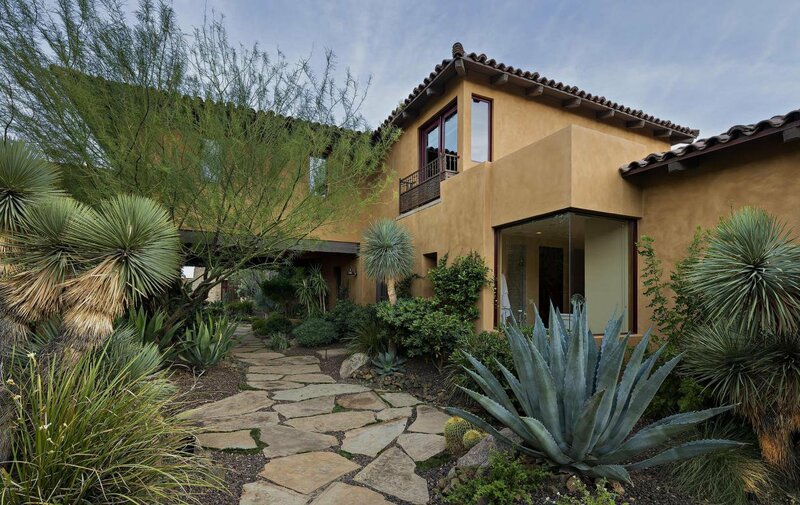 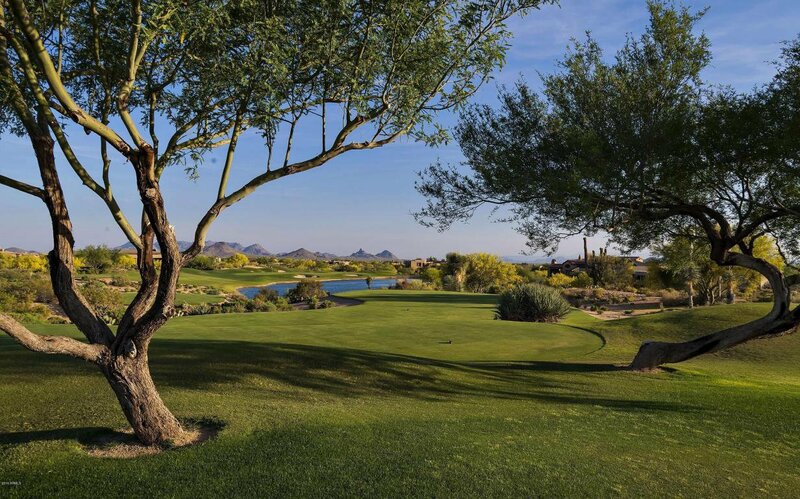 Desert Mountain's entrance is an easy forty-minute drive to Phoenix Sky Harbor Airport. 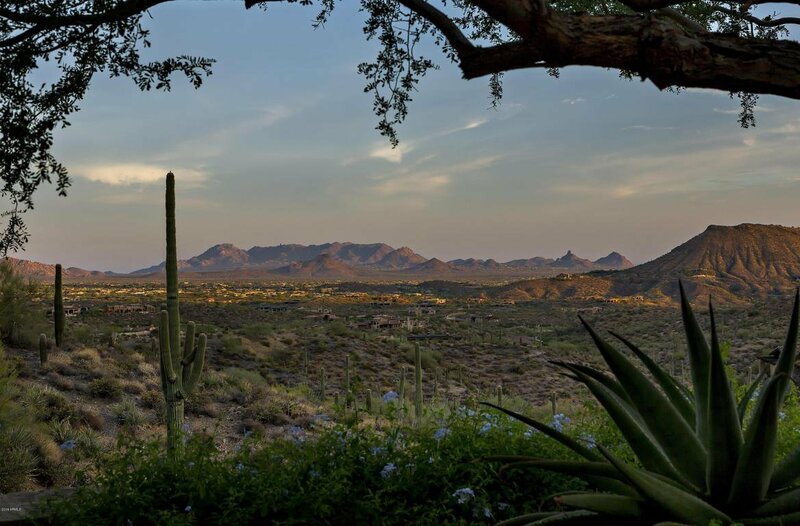 Most of the community is between 2,600 and 3,800' above sea level, which means daytime highs about ten degrees lower than what Phoenix reports, and nighttime lows as much as twenty degrees cooler. 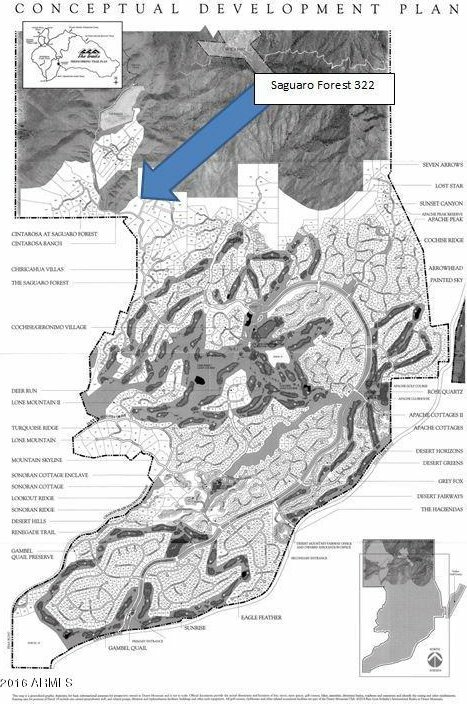 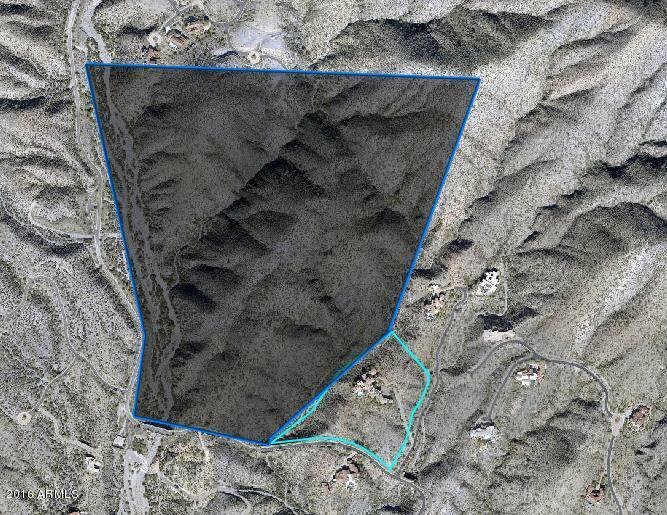 All property owners have access to a private, fifteen-mile hiking trail system. 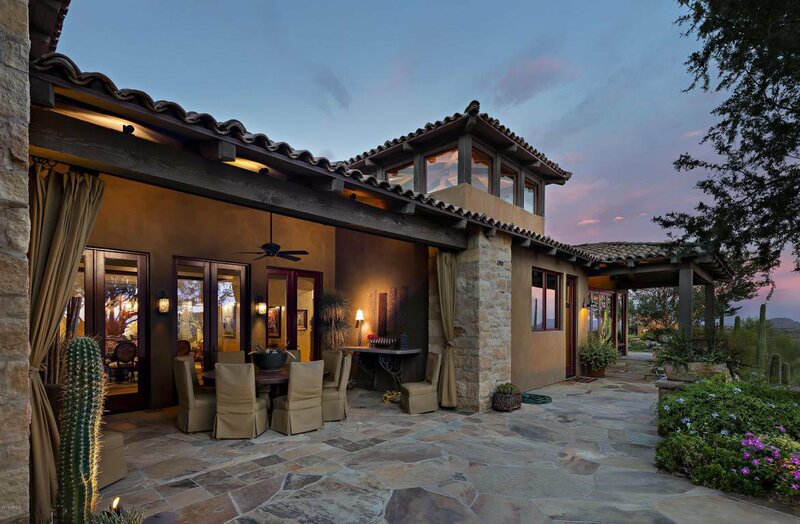 If a home, and community, like Stonehill and Desert Mountain, are what you think you may be looking for, give us a call for a complete tour of both (and be sure to watch the Owner Interview Video!). 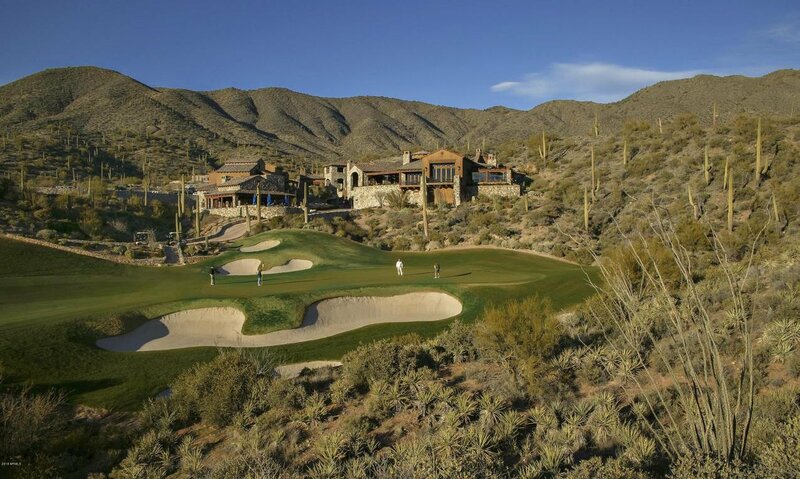 Living in Desert Mountain provides very convenient access to the facilities of The Desert Mountain Club, an established, twenty-eight year-old, private club owned and governed by its Members, with a long list of amenities including six Jack Nicklaus Signature Golf Courses (along with four very well-designed golf practice ranges), six clubhouses with eight restaurants, one of the best golf performance centers in the country for swing analysis, lessons, golf club fitting, and golf club repairs; and horseback riding on a fifteen-mile long trail system located in and on top of the Continental Mountains at the rear of the 8,200 acre community (the trail system is an amenity for all Desert Mountain residents, not just Club Members). 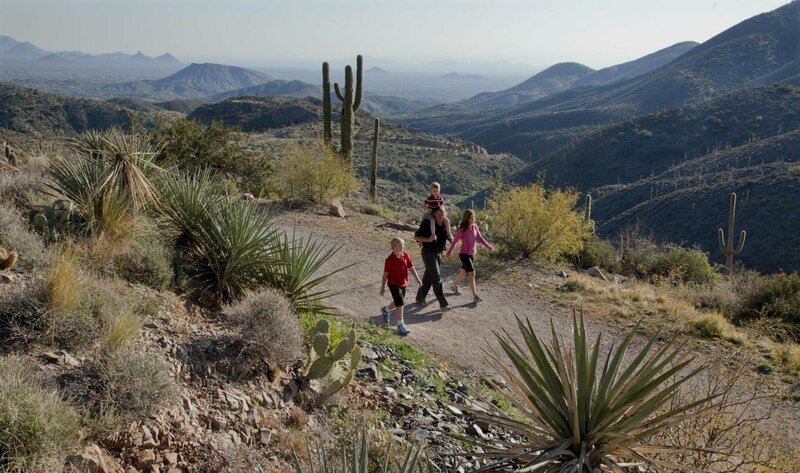 These trails rise to over 4,000' and provide astonishing views many miles in all directions. 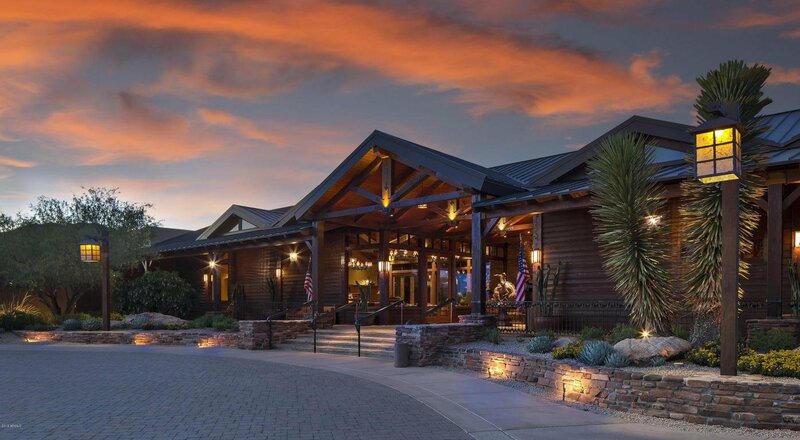 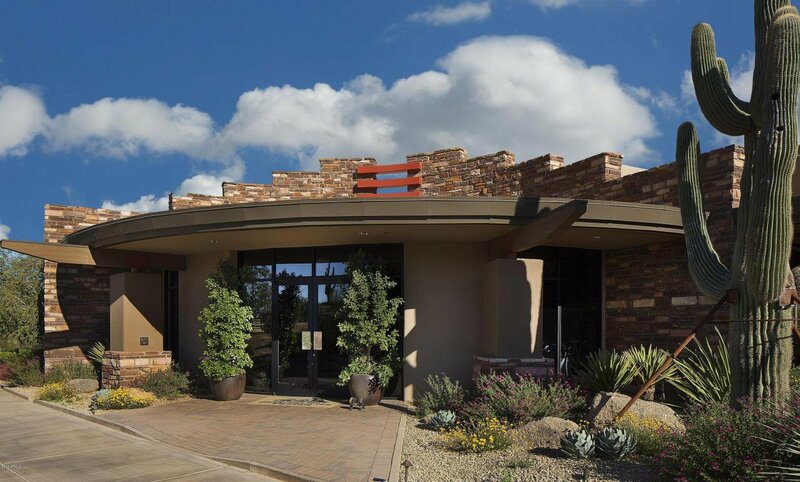 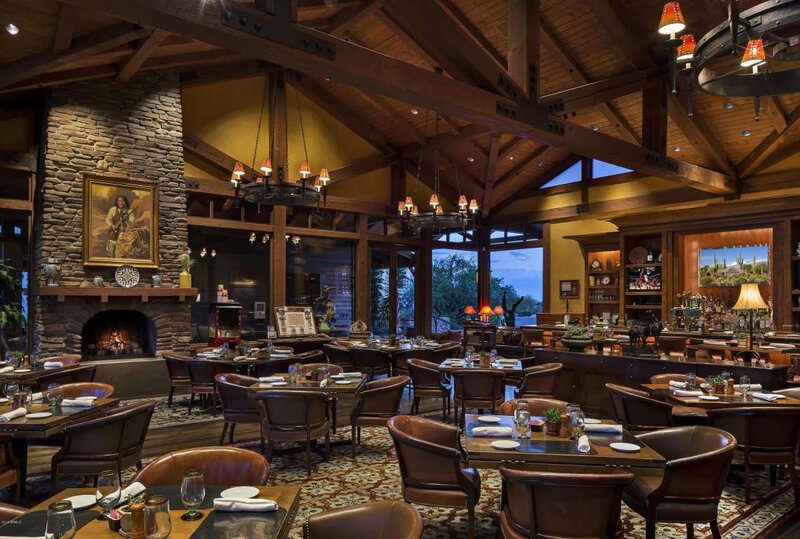 One of the Clubhouses, the Sonoran Clubhouse, is the Club's swim, tennis, fitness and spa facility. 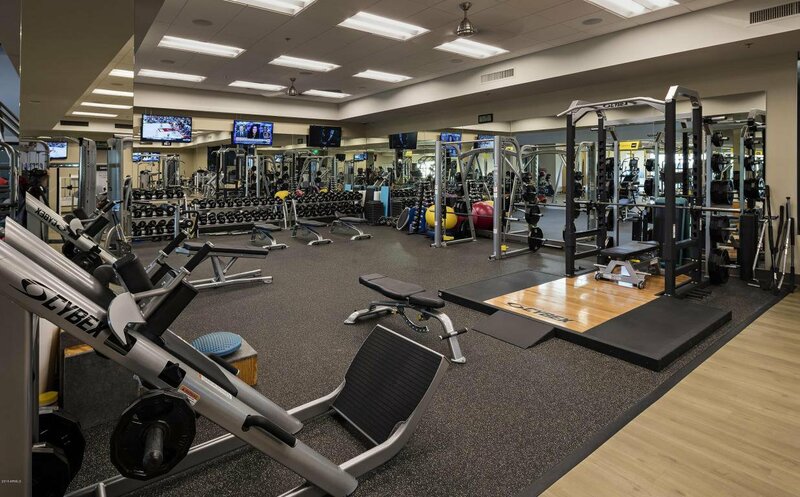 A $12,000,000 expansion and renovation of that facility was completed in October, 2016 to much acclaim. 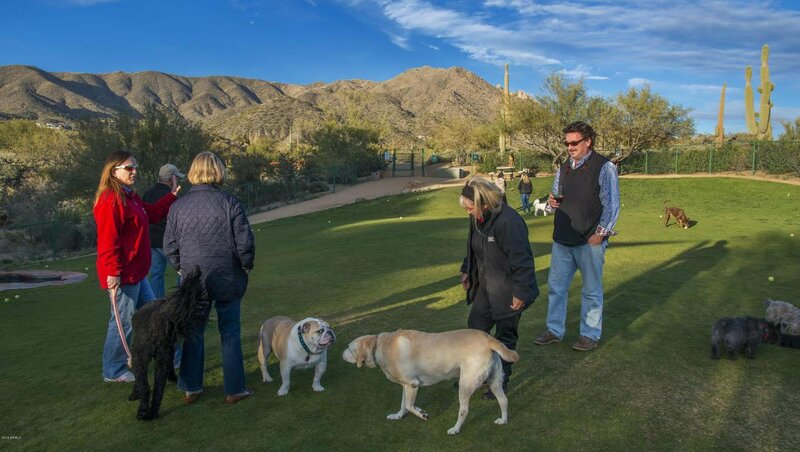 Since then, six pickleball courts have been added, along with a golf croquet court and a bocce ball court. 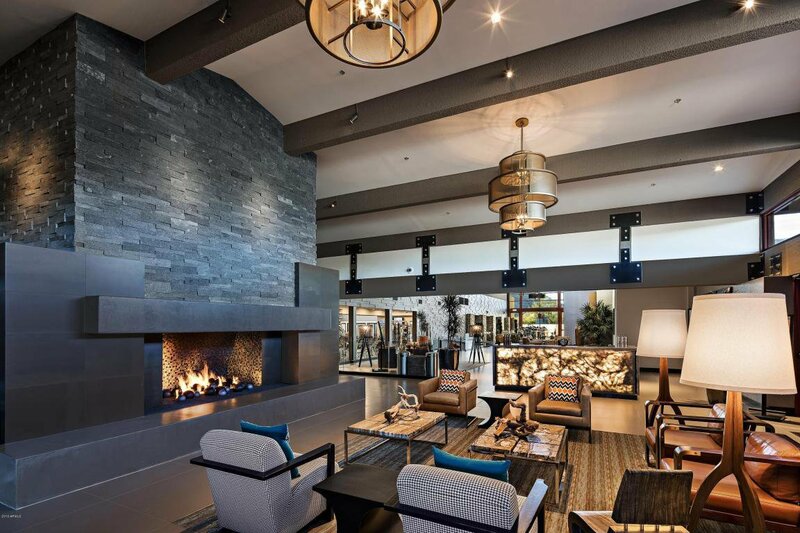 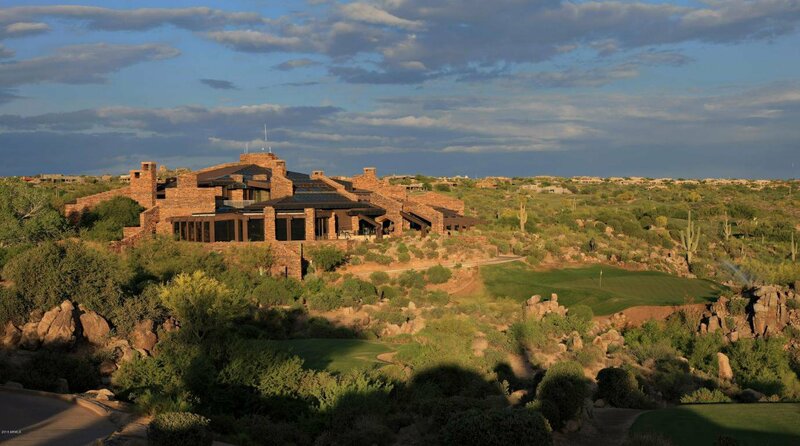 It is now a remarkable amenity, adding tremendous value and enjoyment to the community's Club Member residents. 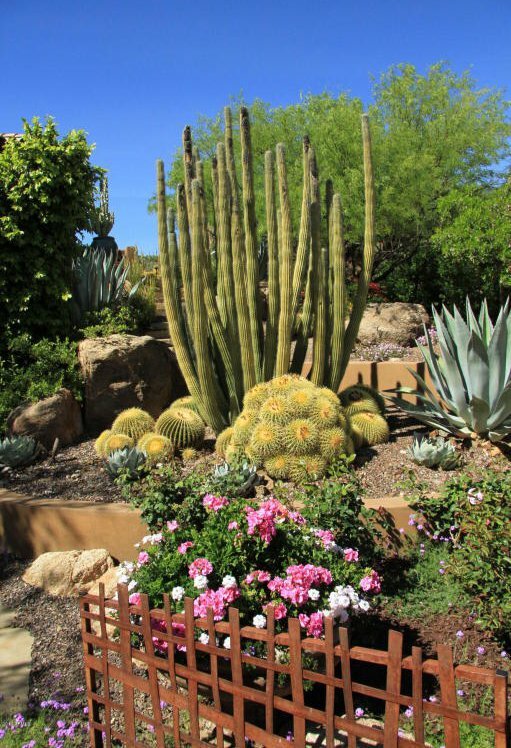 Membership to the Club is not included in the purchase price of this lot, but they are available upon application to The Club. 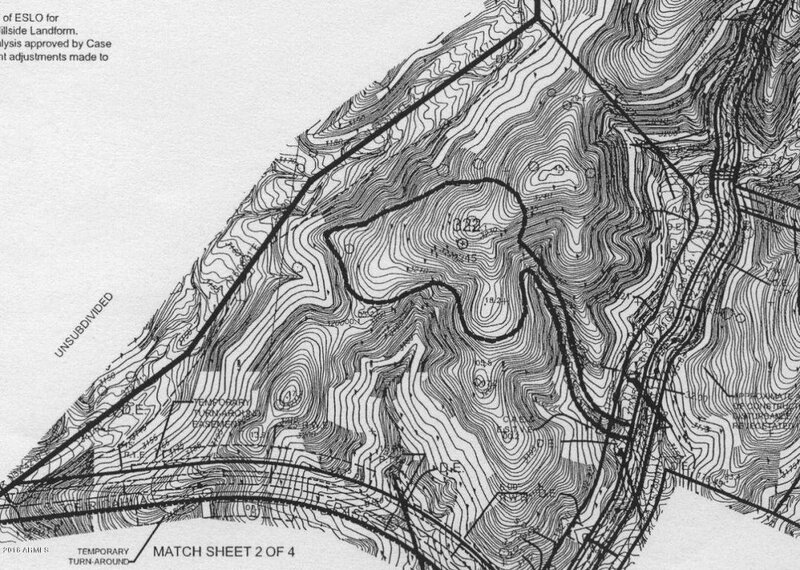 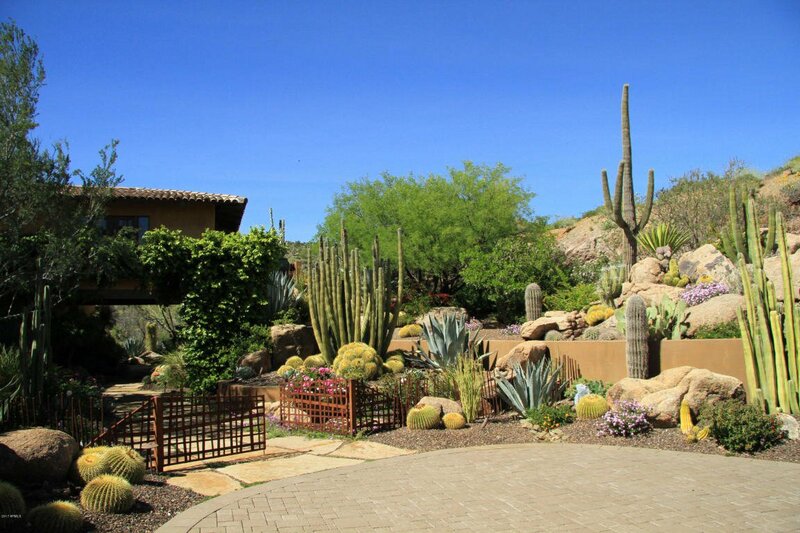 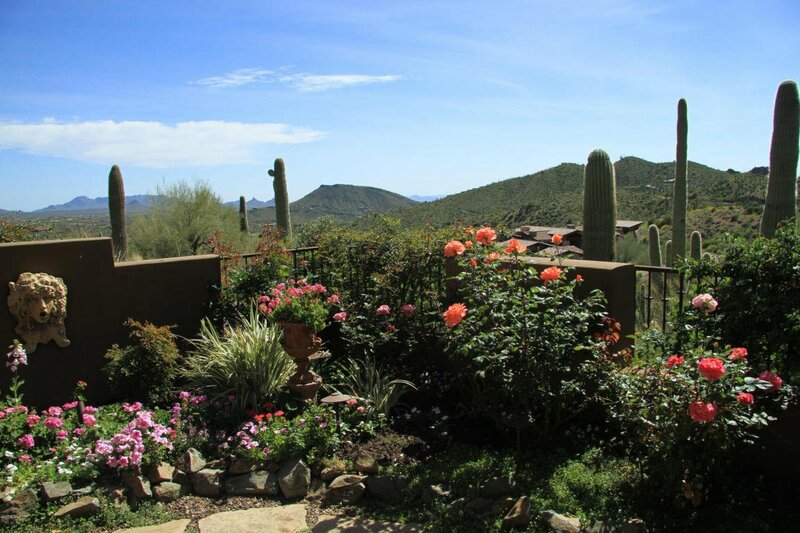 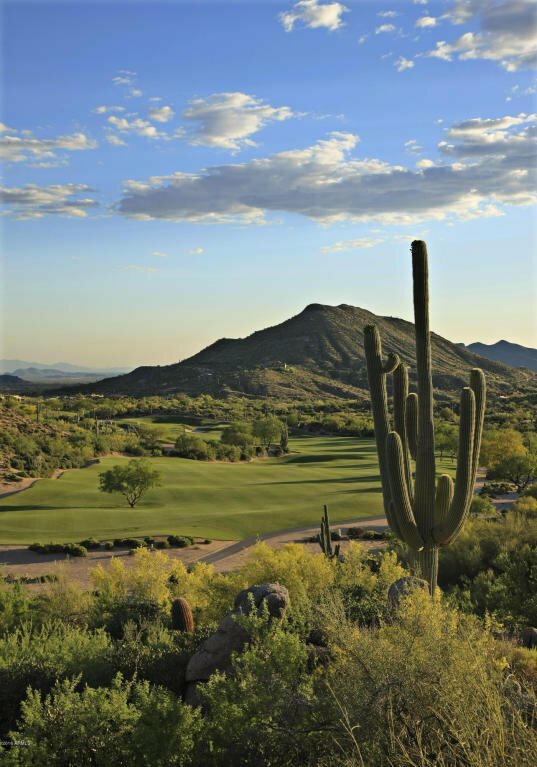 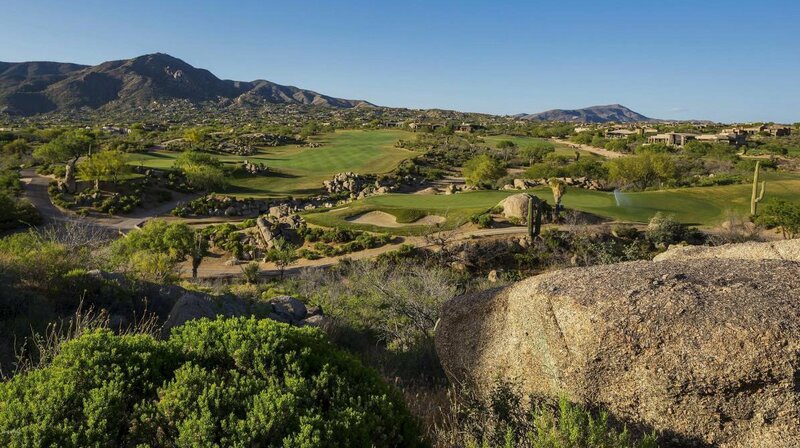 Desert Mountain is in the foothills of the Continental Mountains in north Scottsdale. 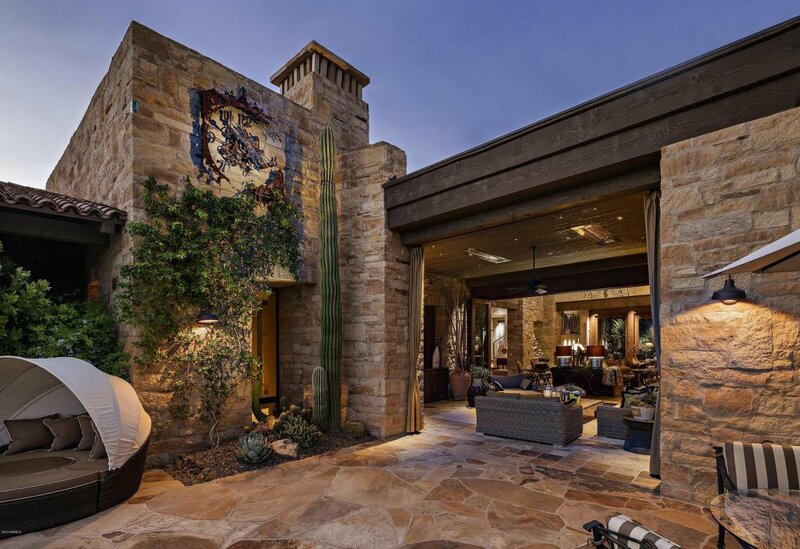 The Front Gate of the community is typically an easy forty minute drive to Phoenix Sky Harbor Airport. 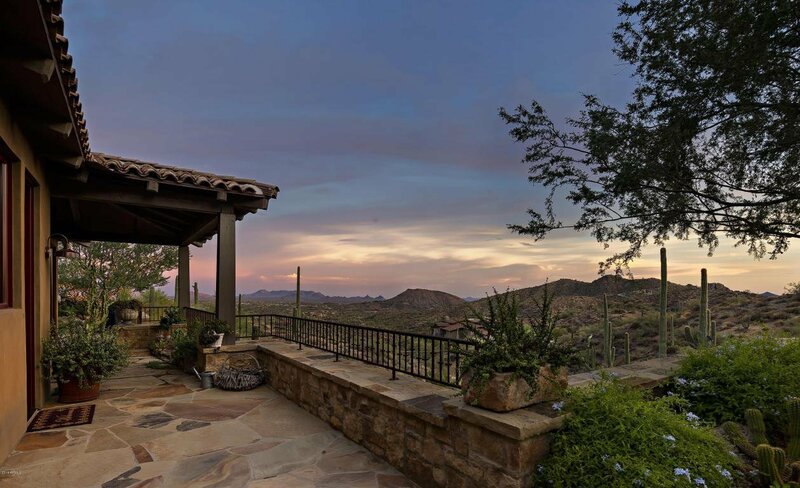 The nearby towns of Carefree and Cave Creek provide most of the shopping Desert Mountain residents need within about a ten minute drive of the Front Gate. 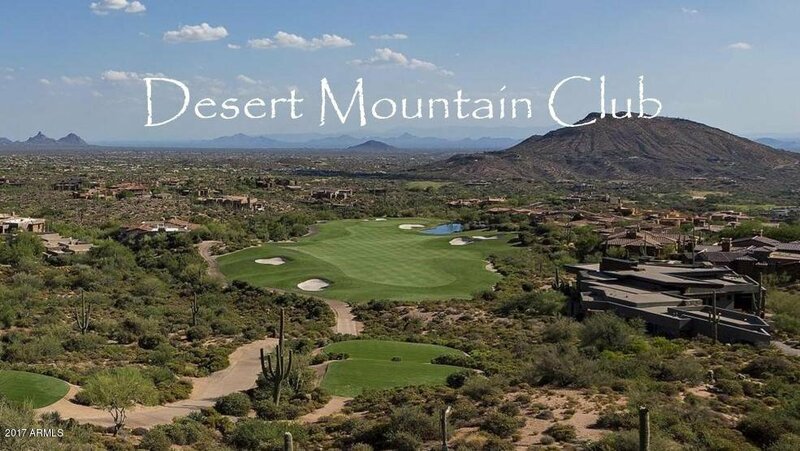 Over the years, Desert Mountain has attracted people from all over the United States and Canada, plus a few from the UK and Germany. 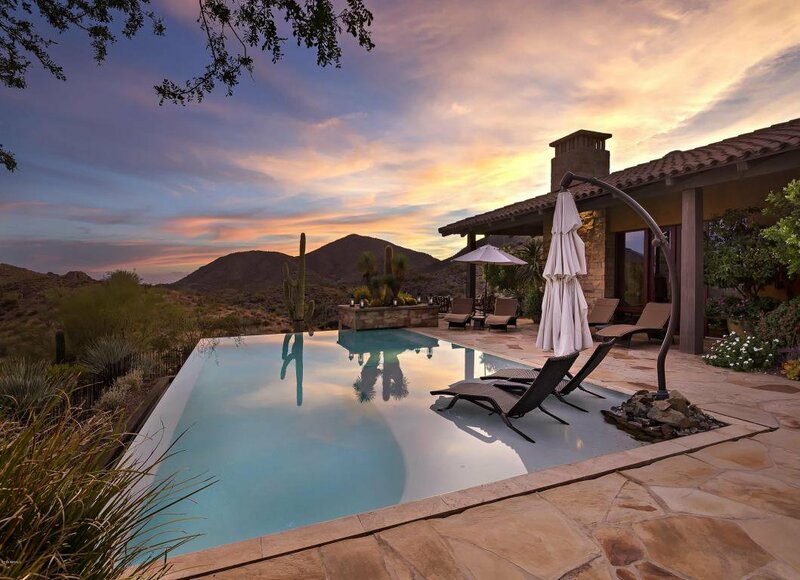 It is an extraordinarily notable community of its type, if not unique in the entire United States, and deserves thorough evaluation by anyone looking for a gated community lifestyle in Arizona.